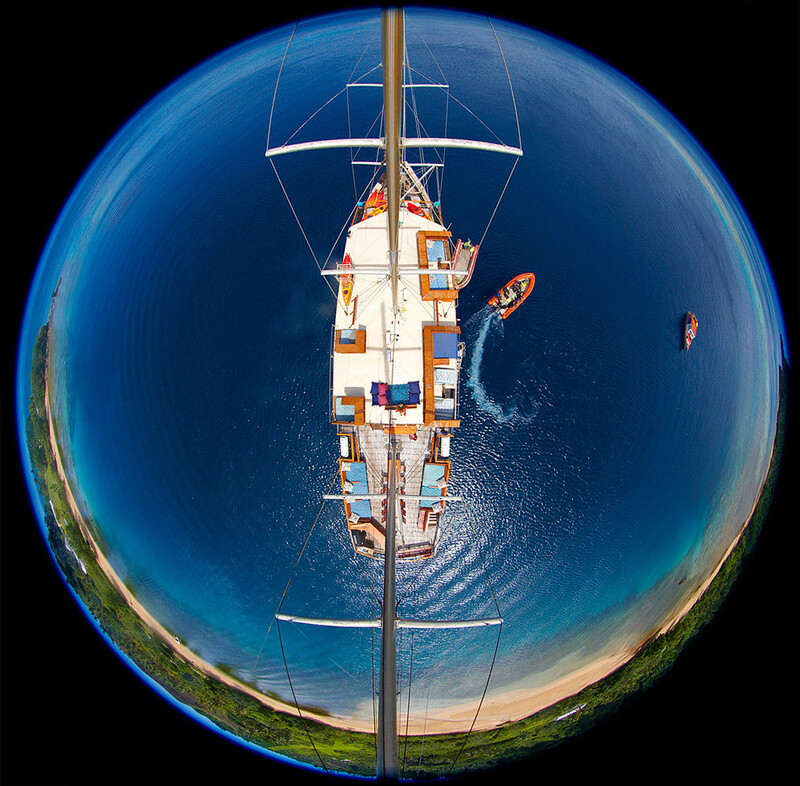 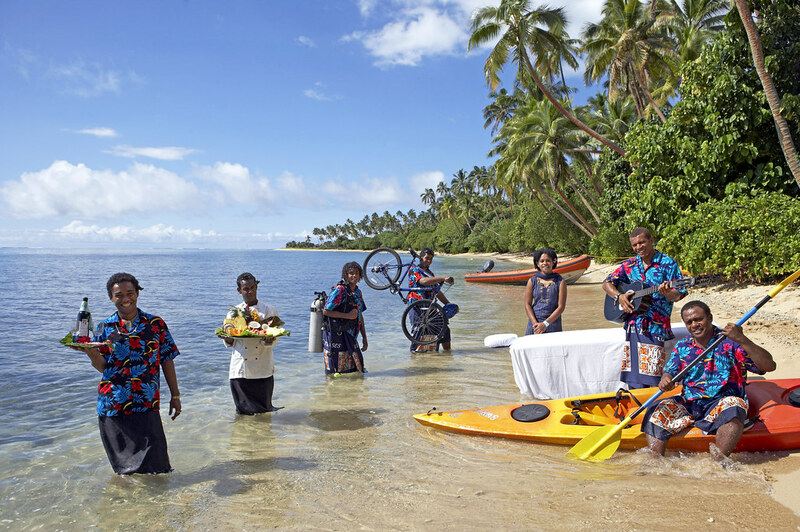 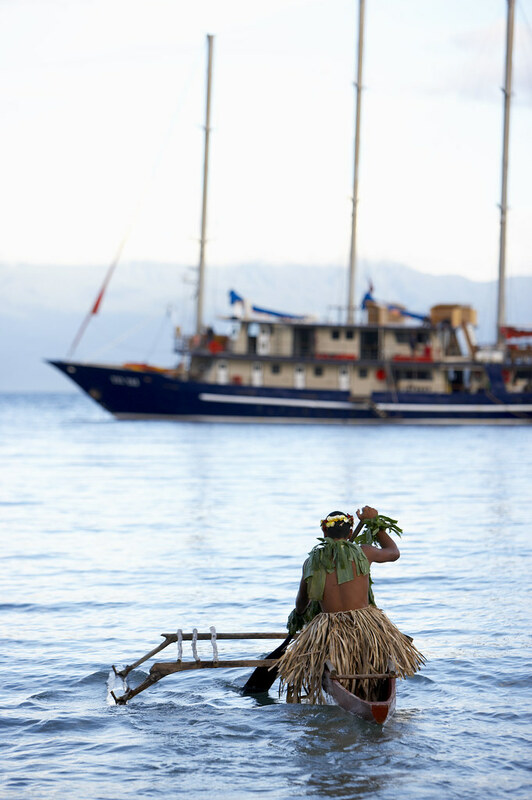 The itinerary for a classic Tui Tai expedition is ever-evolving, as we expand, tweak, and fine-tune our onboard experience to show guests the absolute best activities, island tours, dive and snorkel sites, and cultural experiences the South Pacific has to offer. 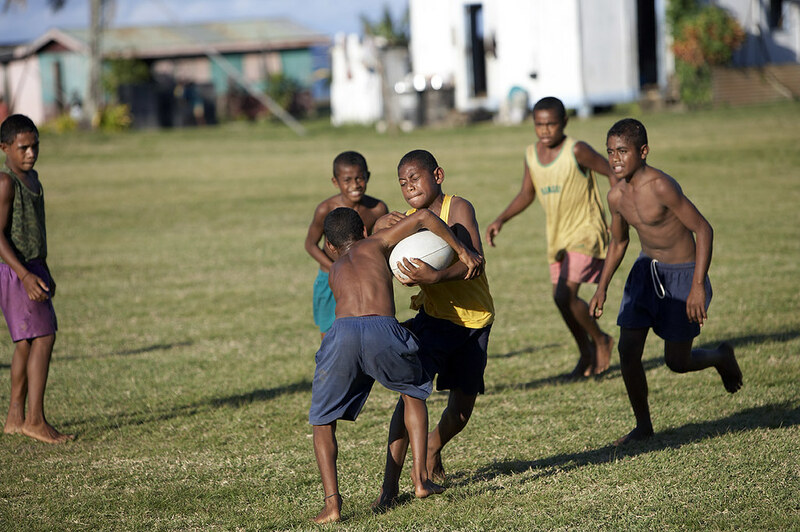 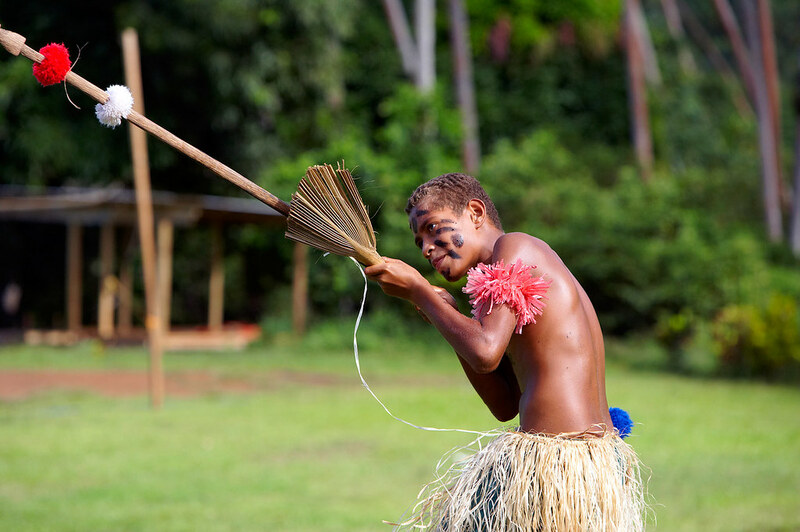 Arrival Information: You can fly into Savusavu (SVU) airport or Labasa (LBS) airport. 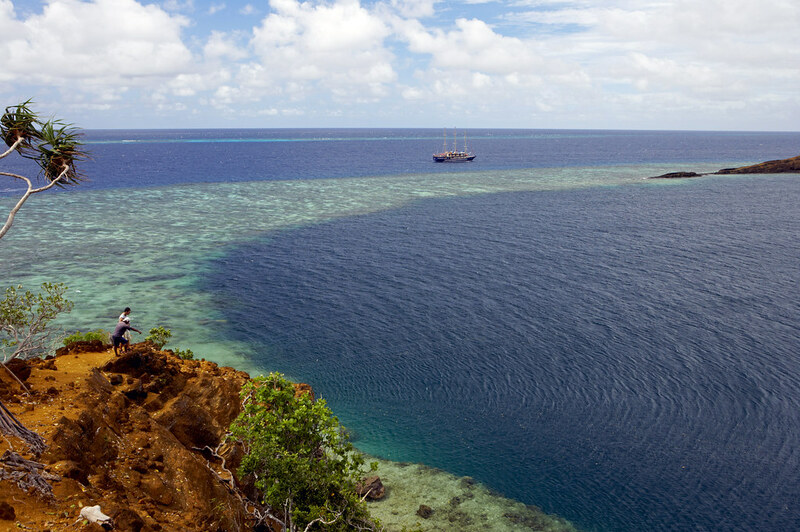 You can arrive on the same day as cruise departure. 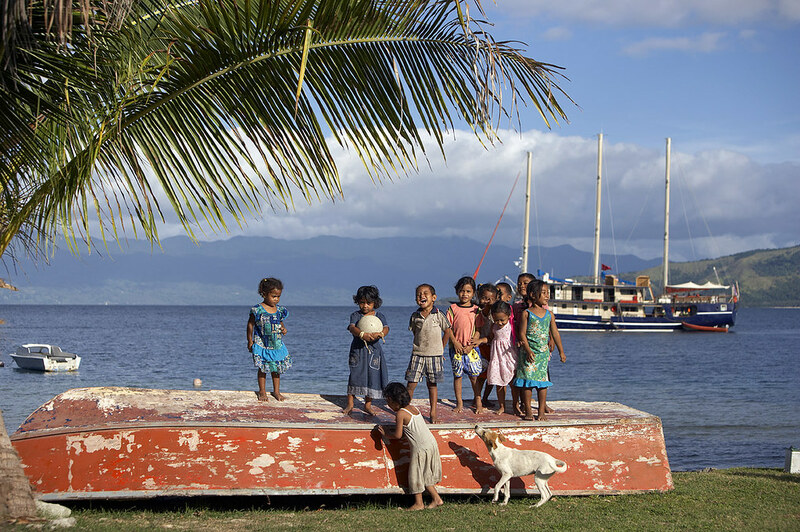 Departure Information: You can fly out of Taveuni (TVU) airport. 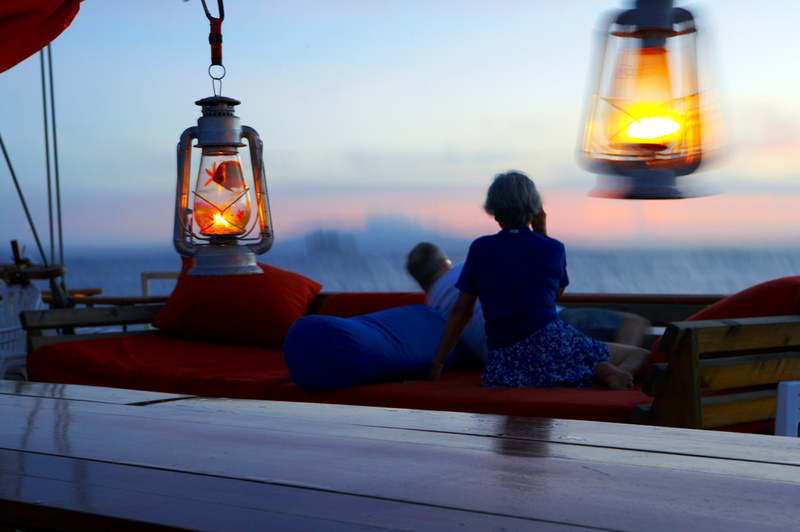 You can fly on the same day as cruise disembarks. 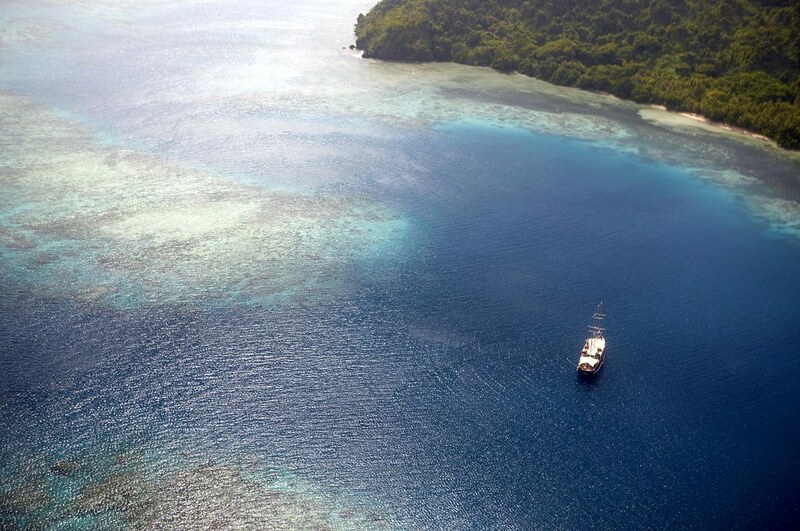 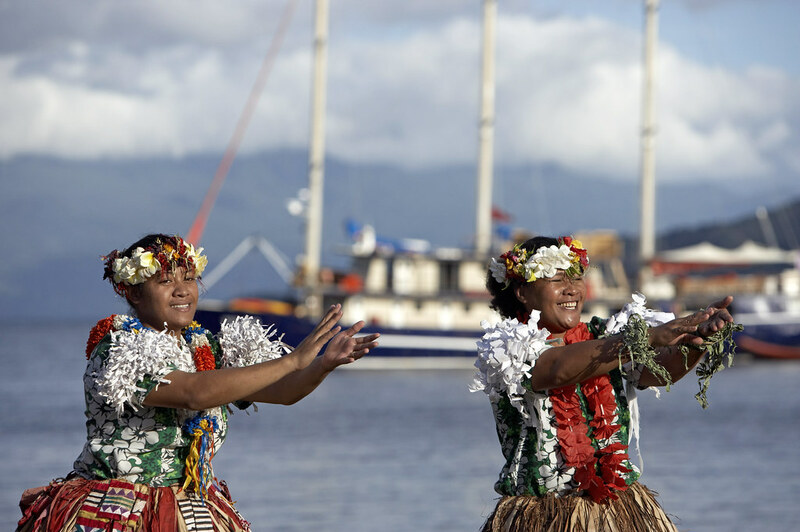 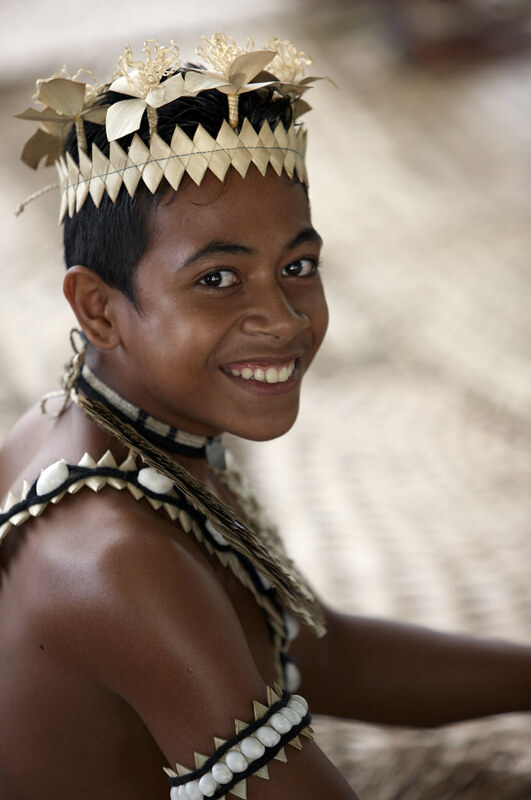 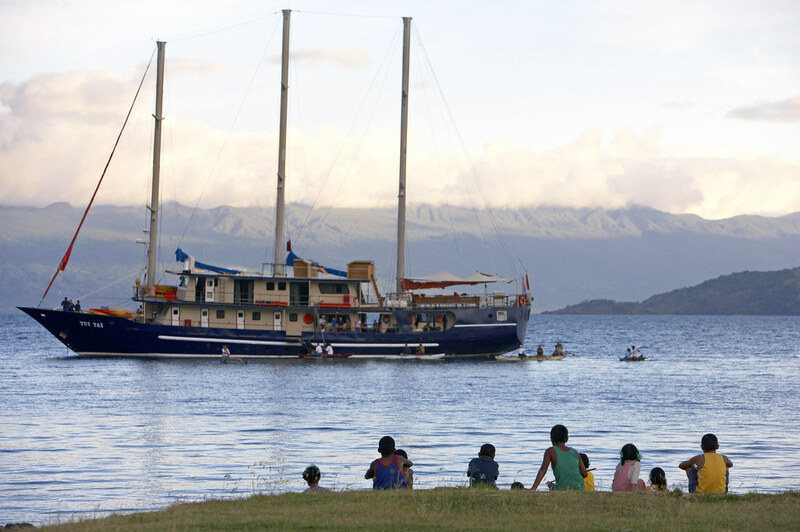 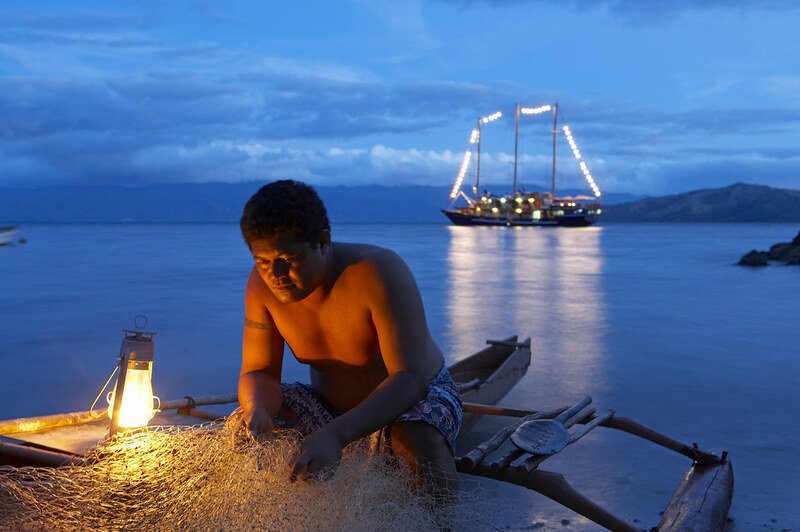 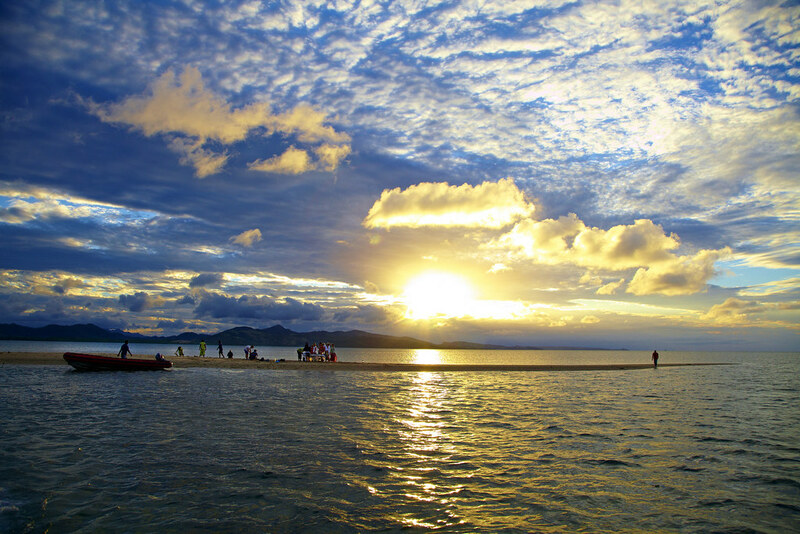 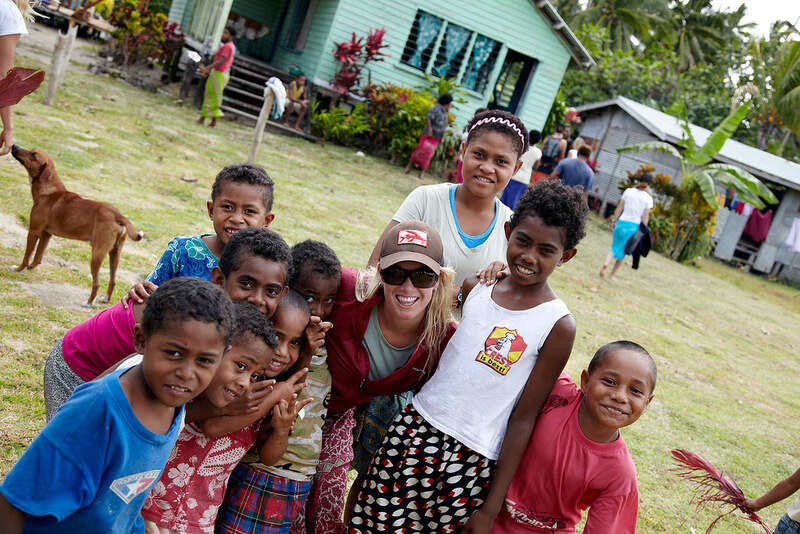 Aboard Tui Tai, you’ll experience the Pacific Cultural Triangle firsthand. 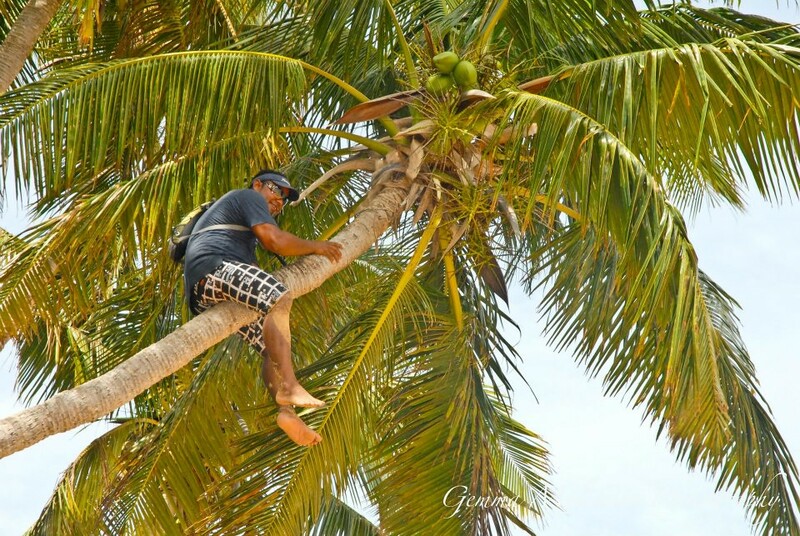 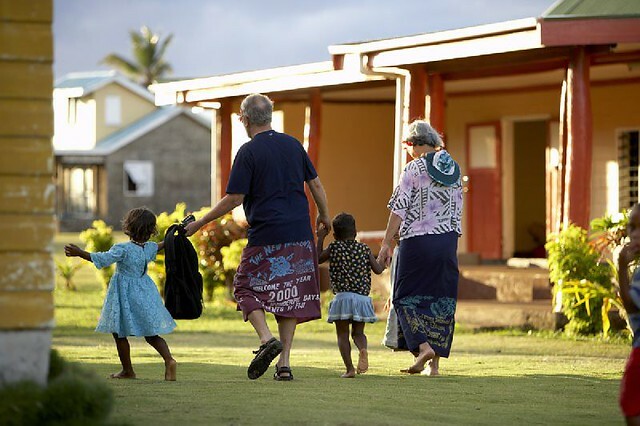 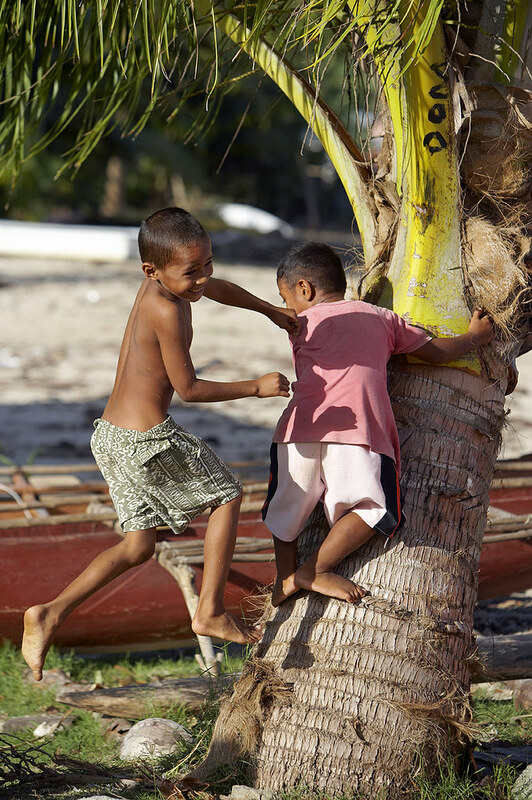 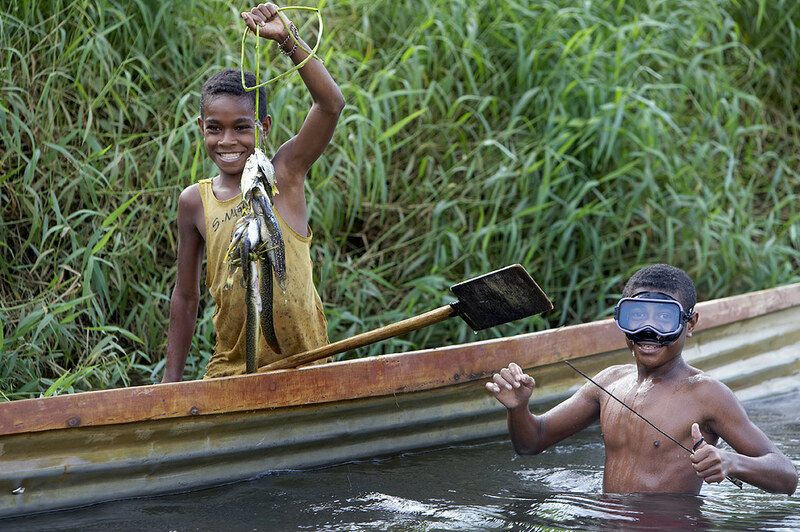 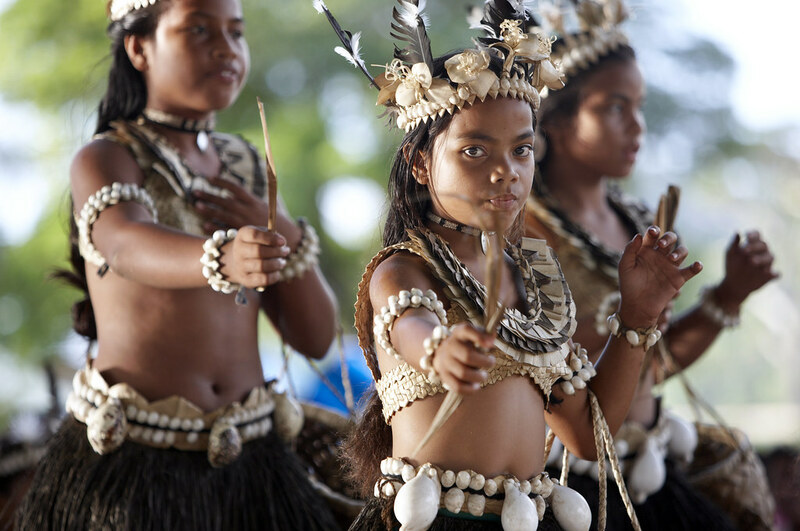 This collection of islands, whose people come from all corners of the Pacific Ocean, is the only place in the world where Micronesian, Polynesian and Melanesian cultures live traditional lifestyles in such close proximity. 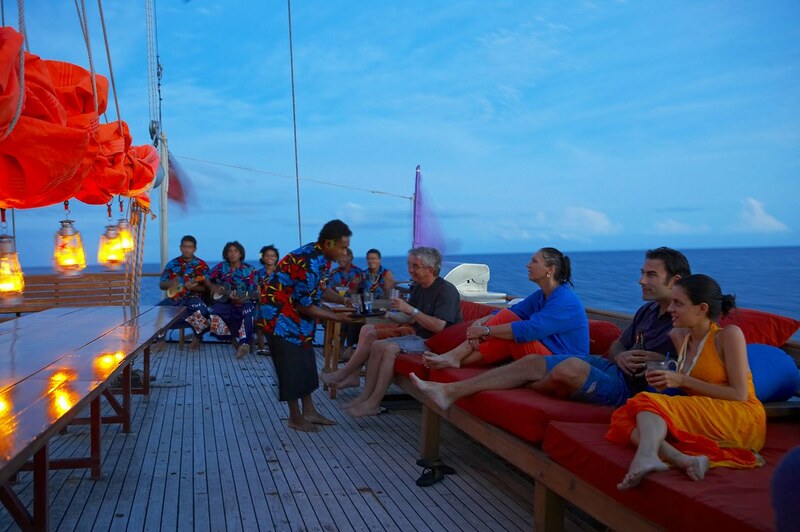 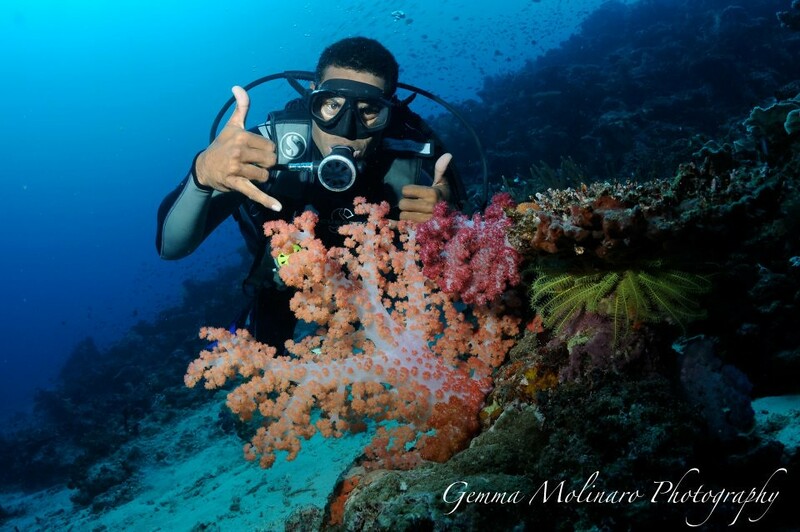 One of the reasons guests return, time and again, to seek new adventures aboard Tui Tai is our unrivaled Fiji diving experience. 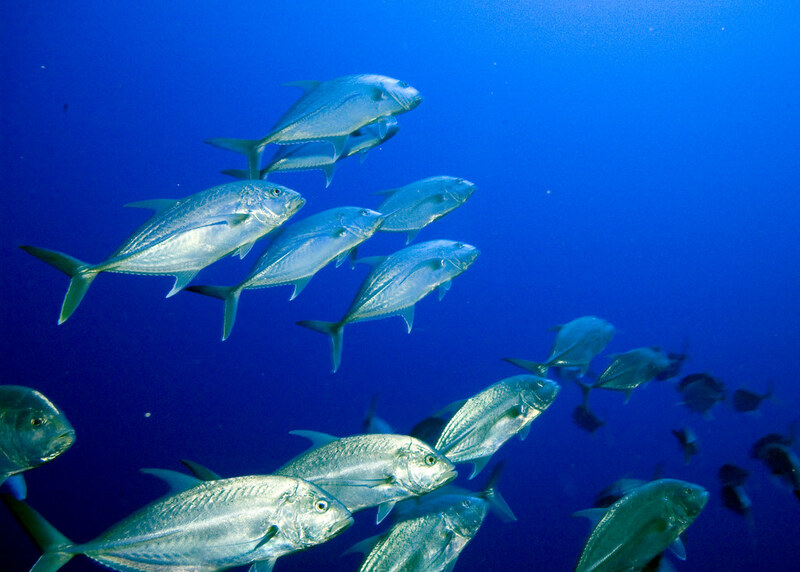 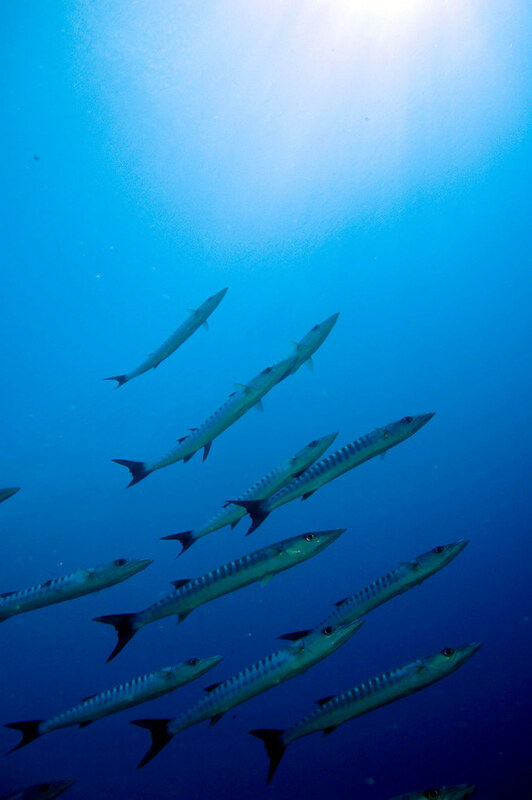 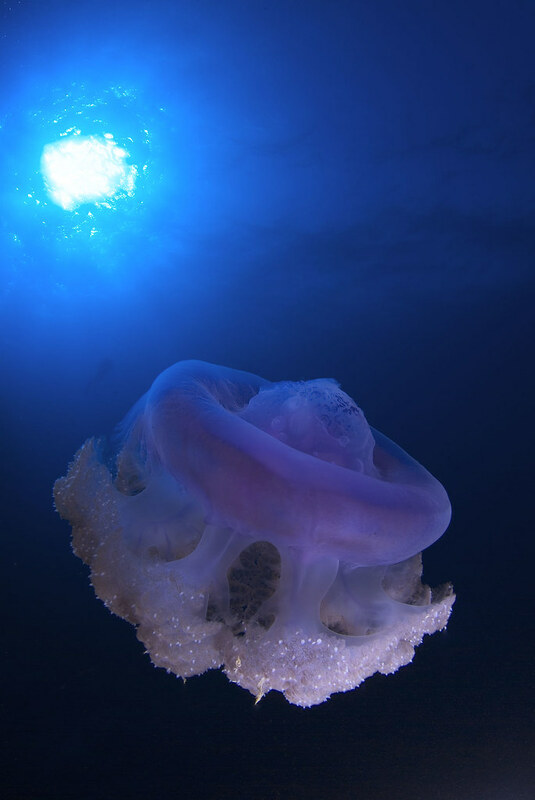 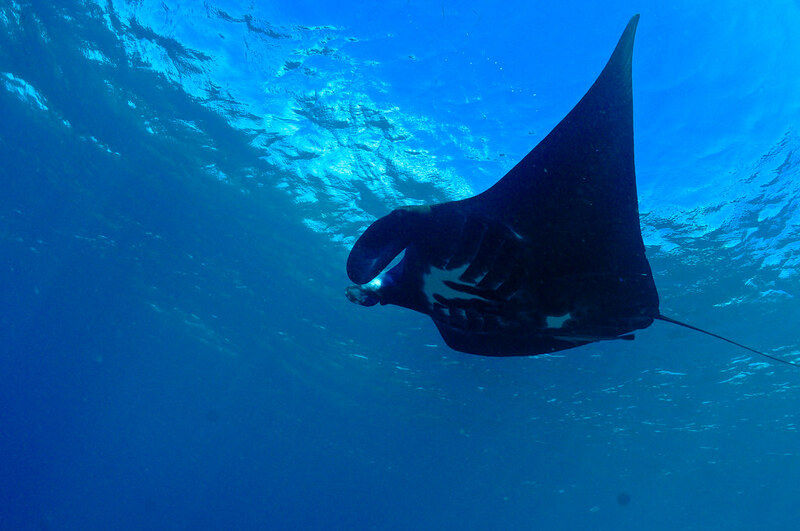 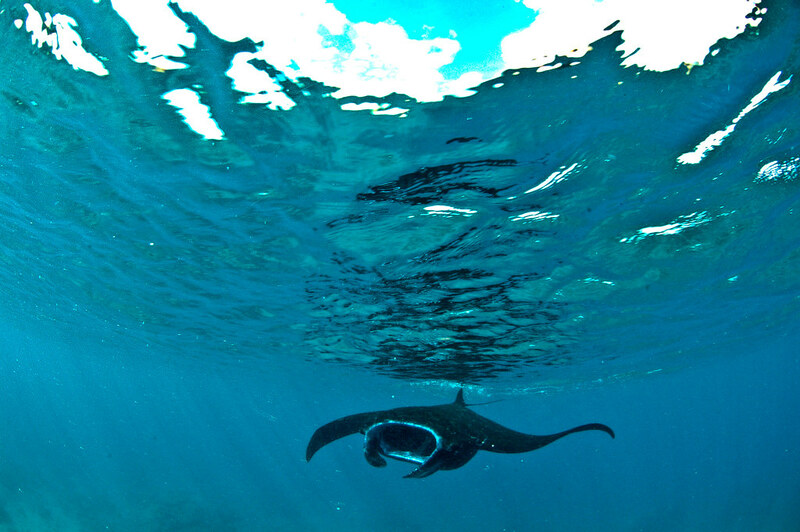 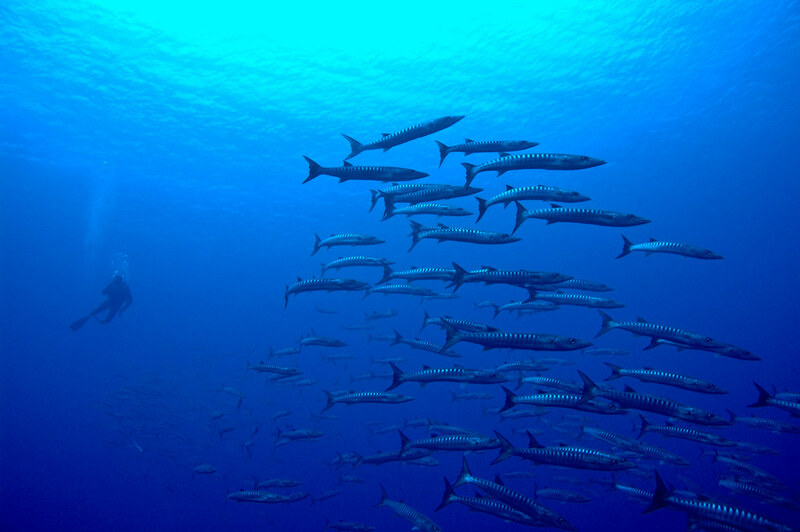 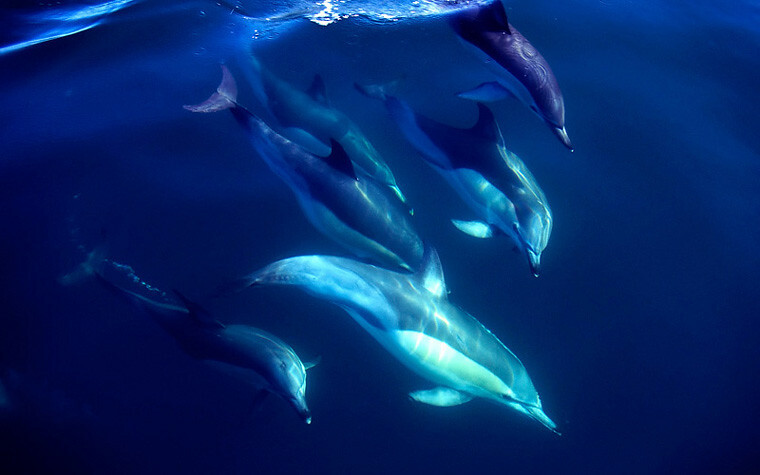 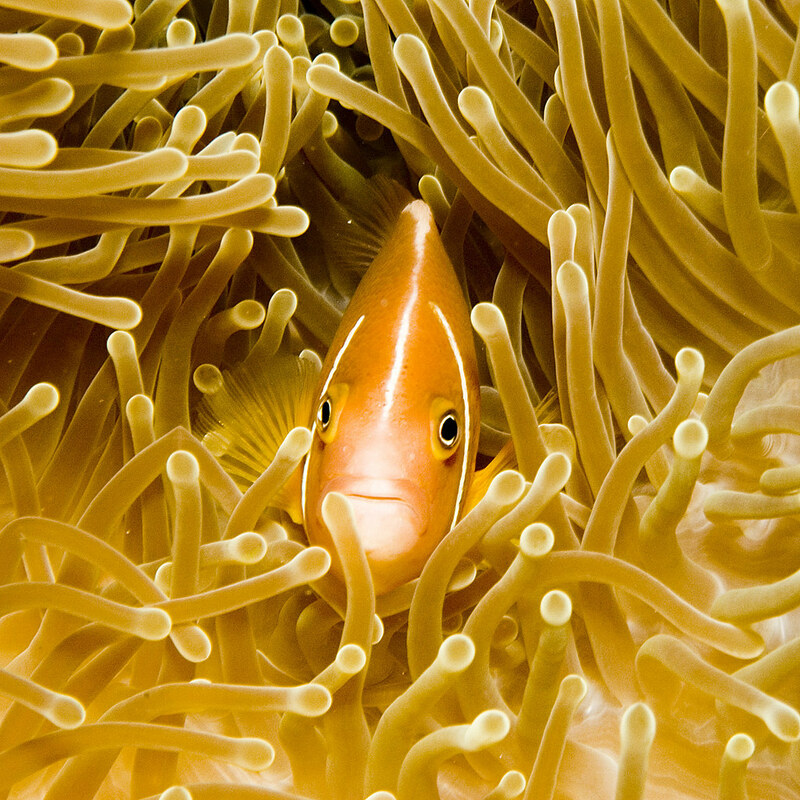 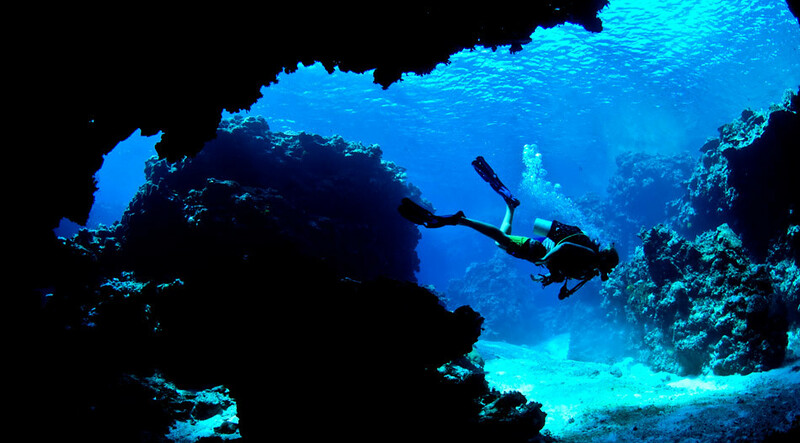 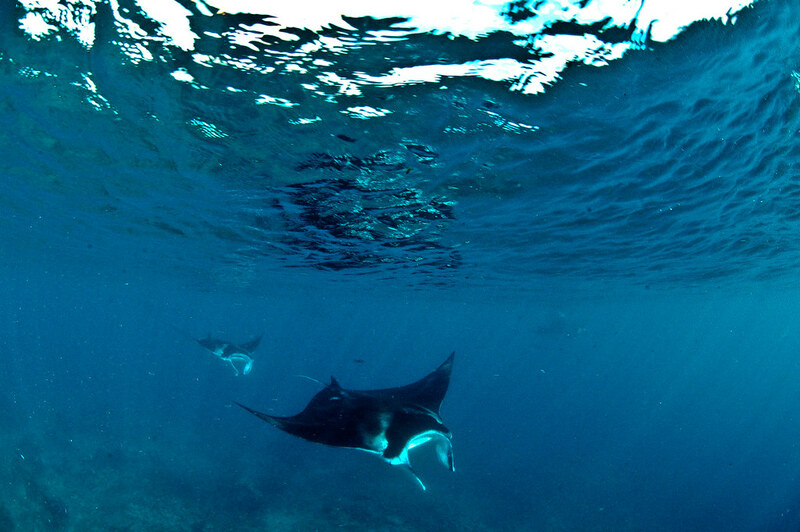 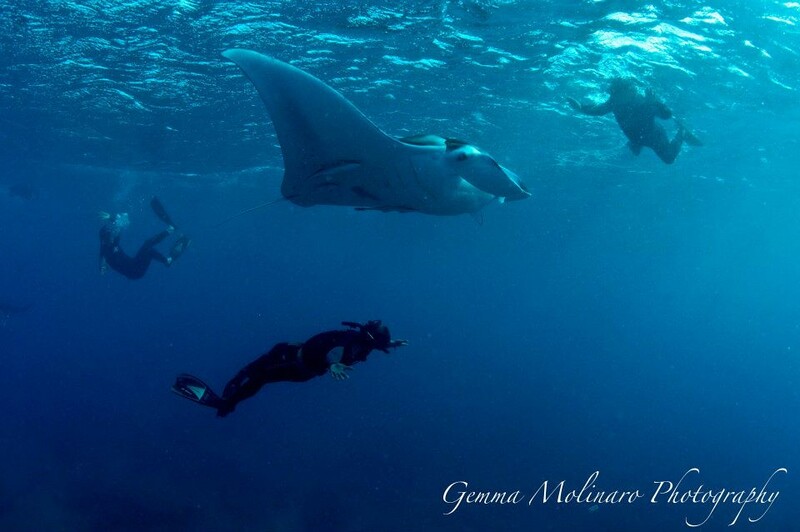 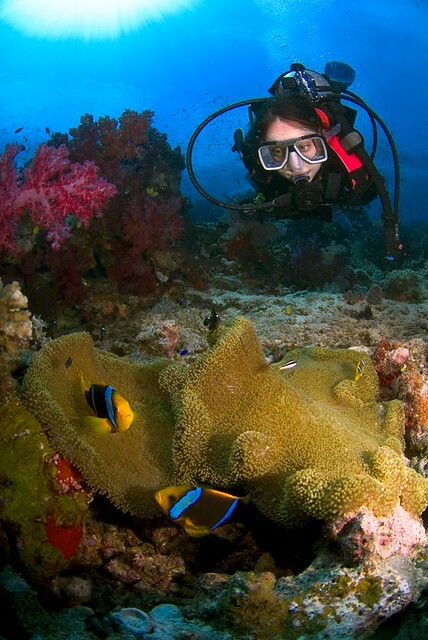 You’ll dive in the clearest waters, with the most dramatic underwater topography and stunning biodiversity and dizzying array of creatures both great and small that Fiji has to offer. 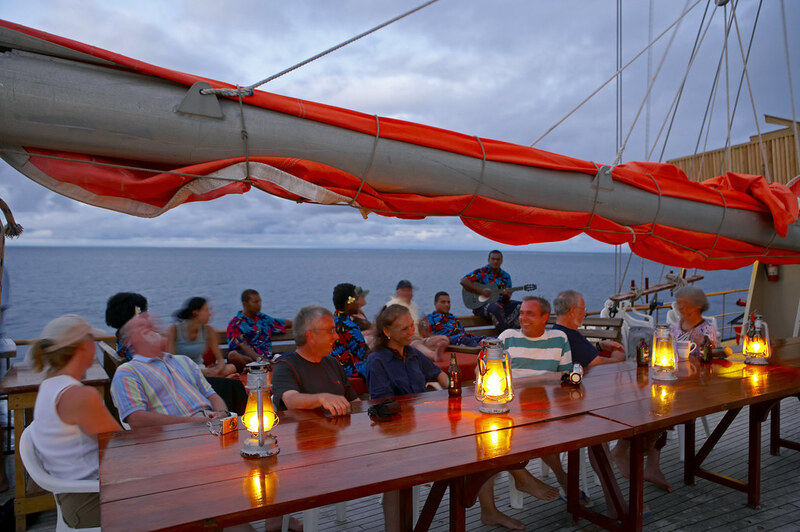 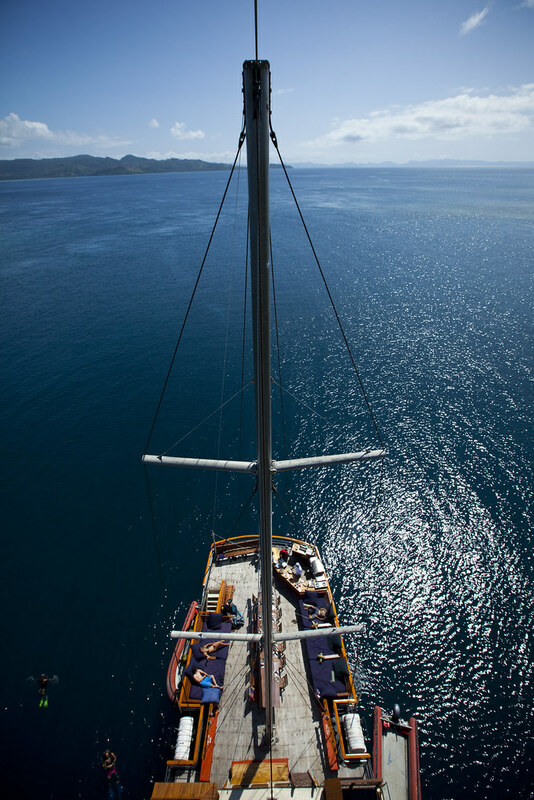 Tui Tai Adventure Cruises. 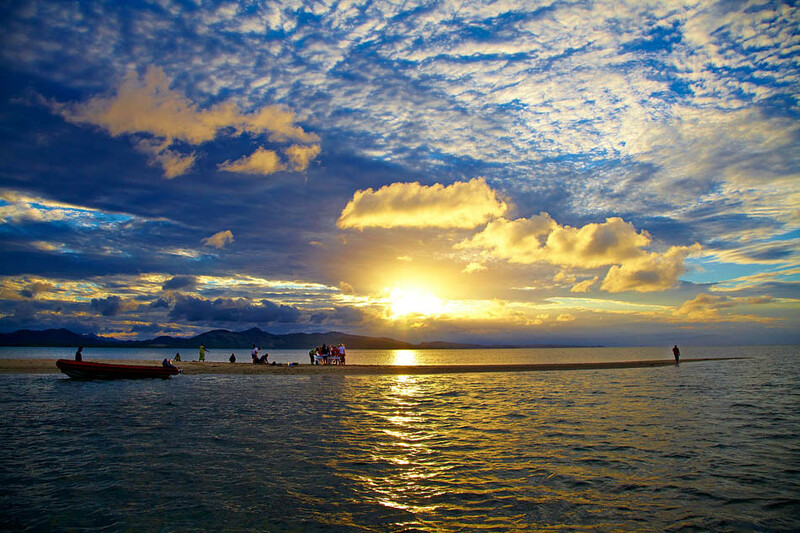 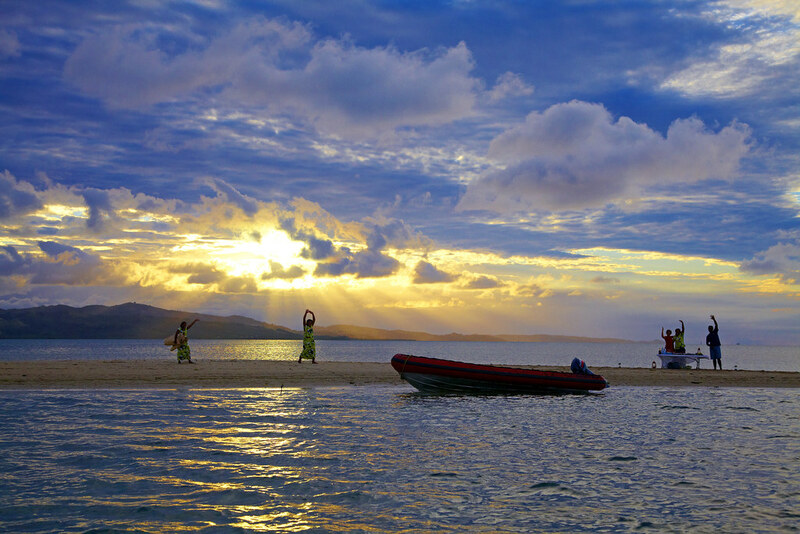 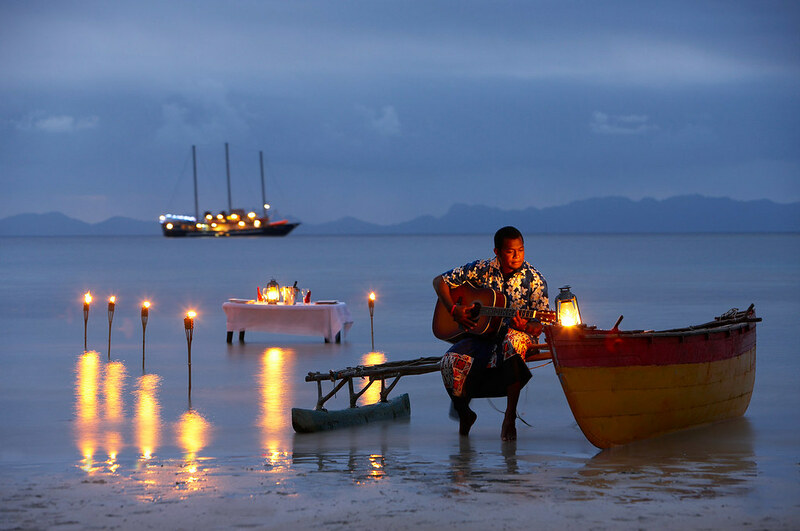 Fiji Islands. 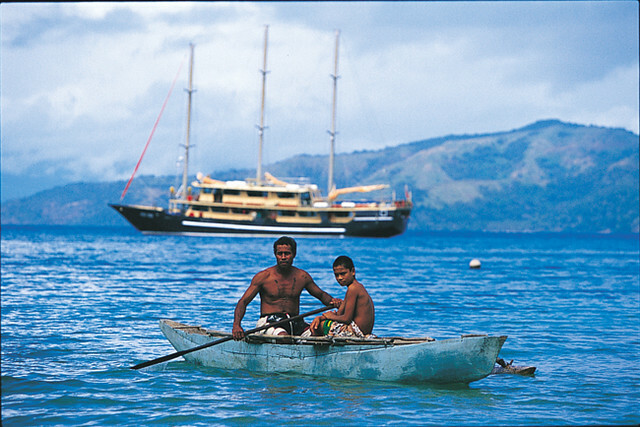 SavuSavu Bay. 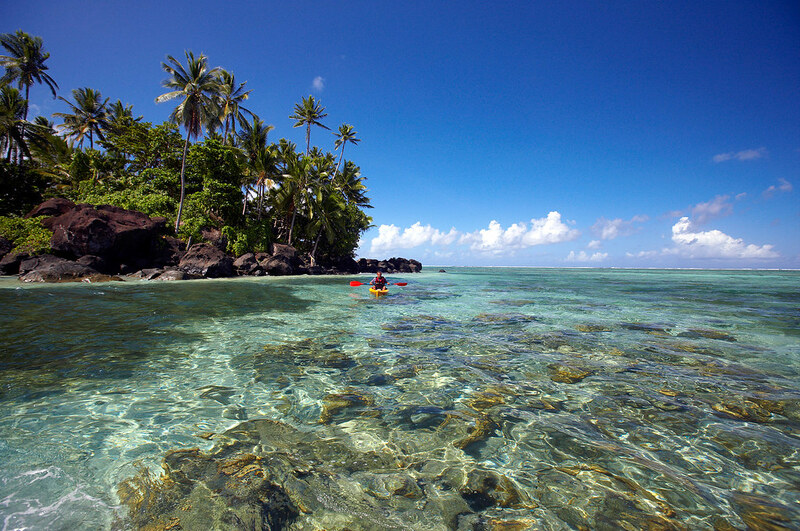 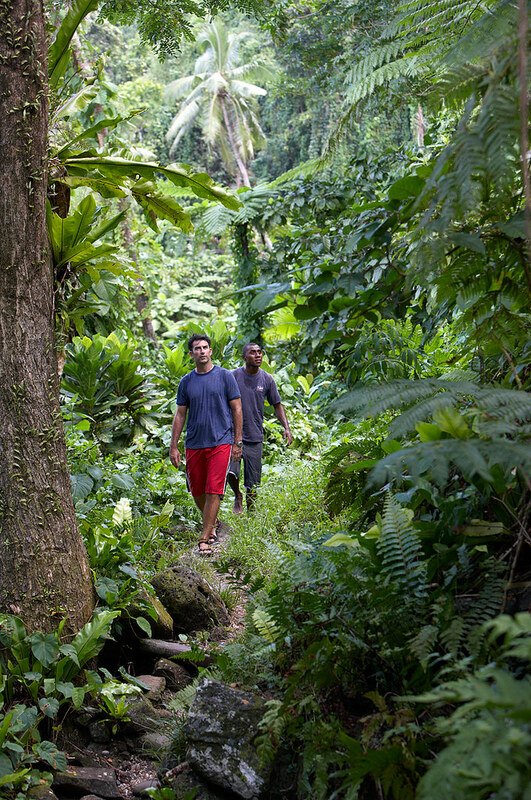 Walk around the frontier-like Somosomo coast of Taveuni. 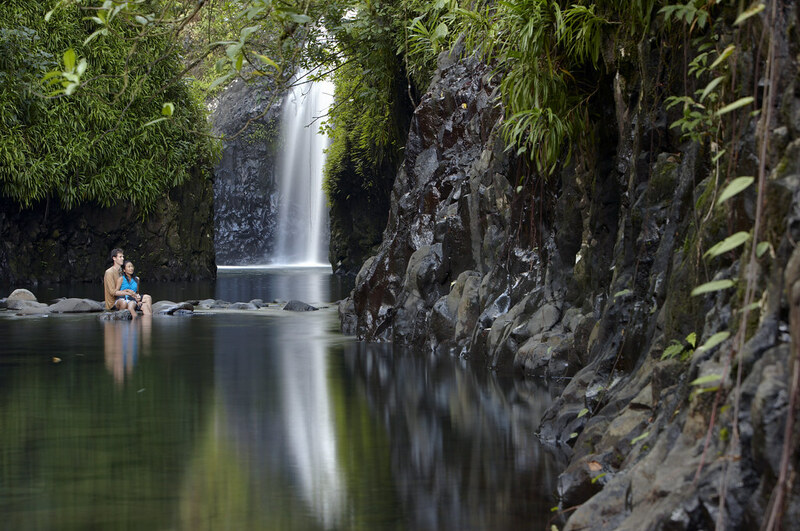 You’ll step across the International Dateline before you visit the Waitavala waterslides. 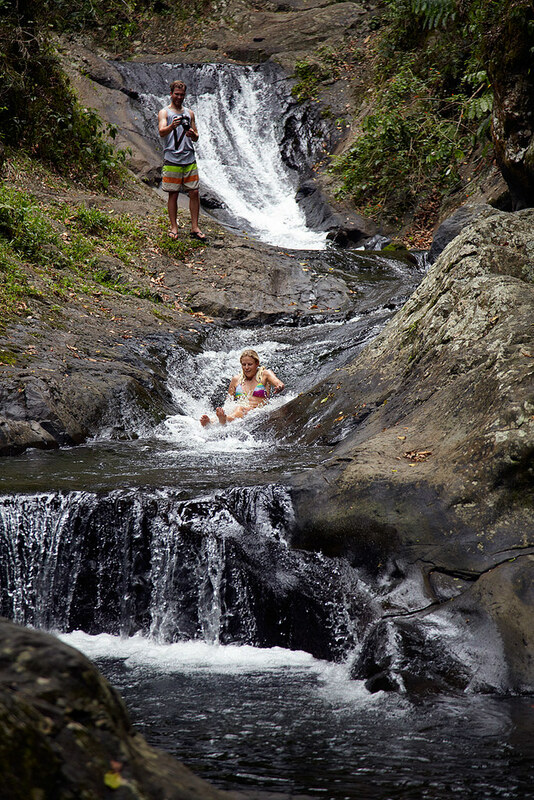 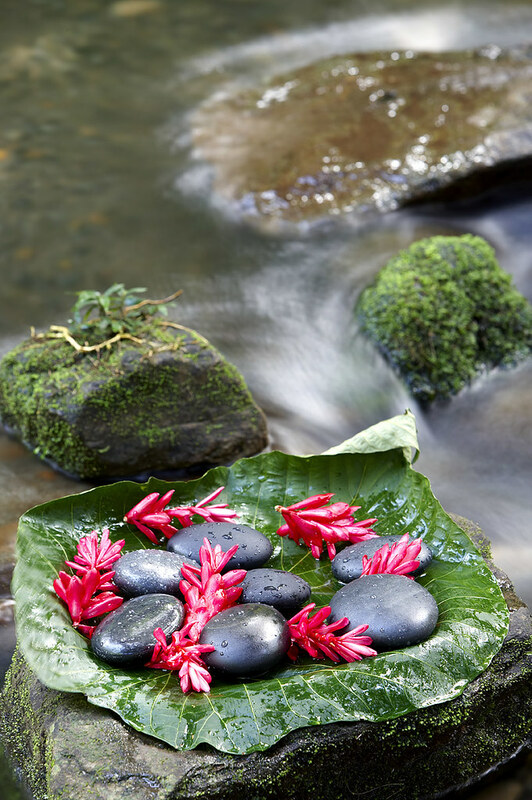 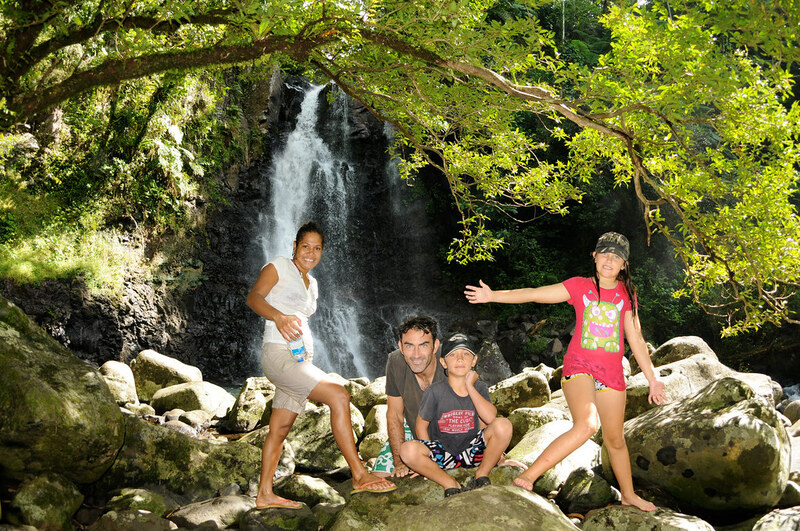 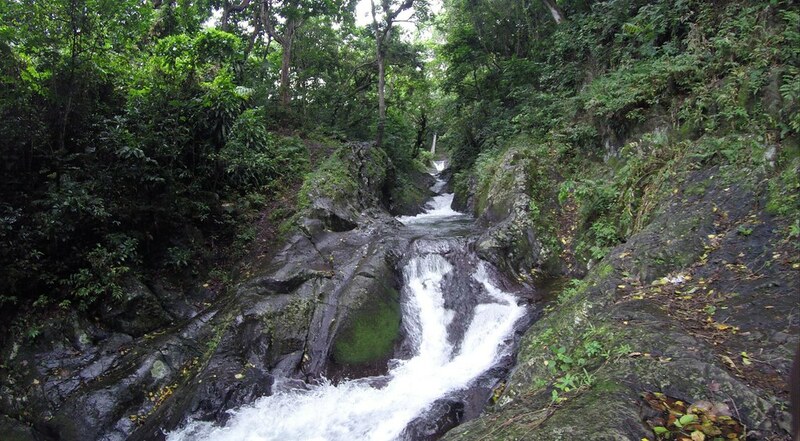 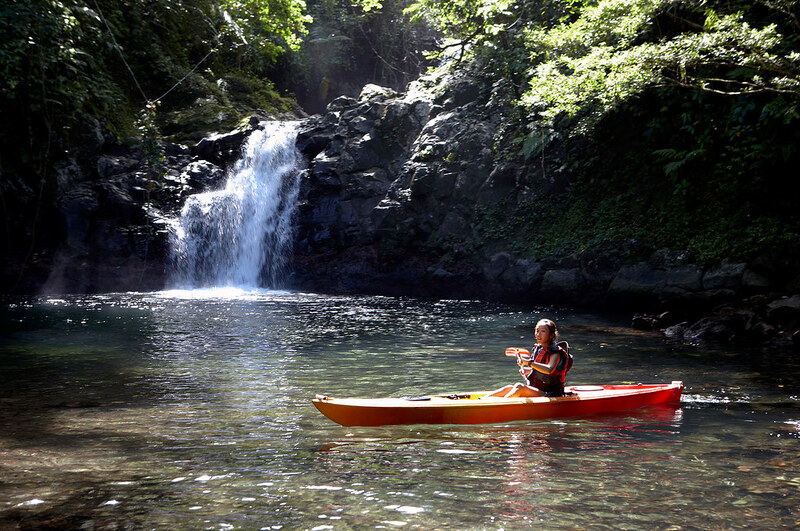 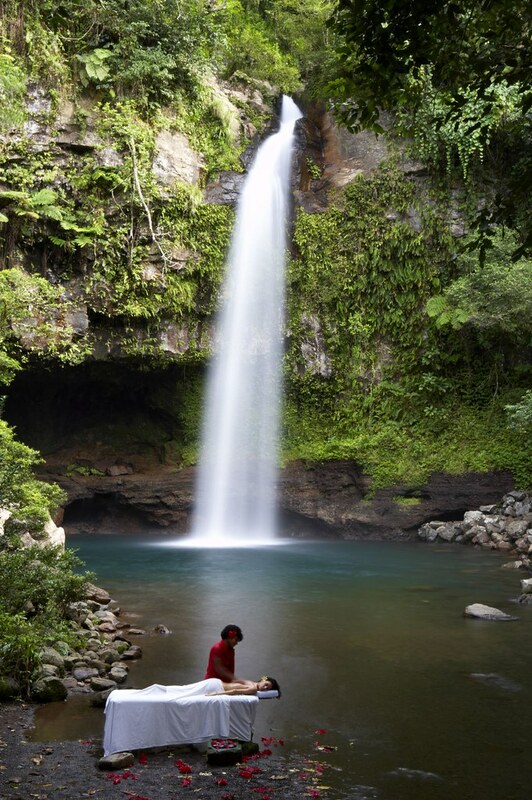 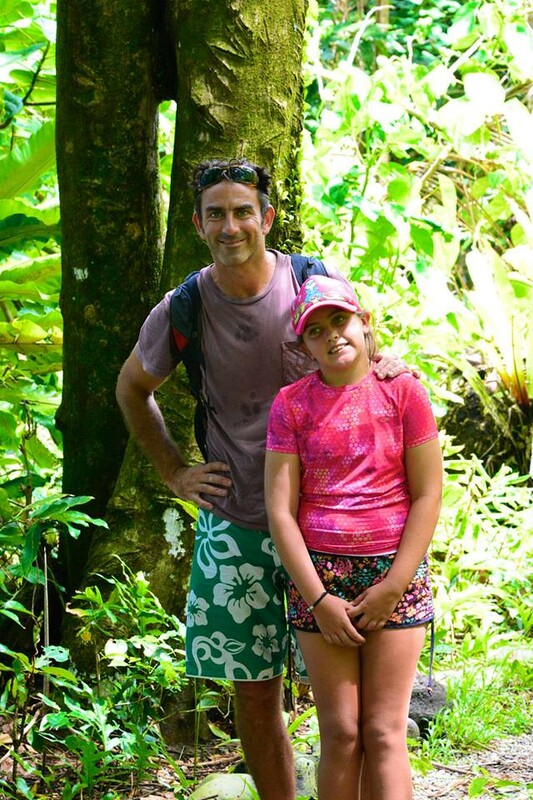 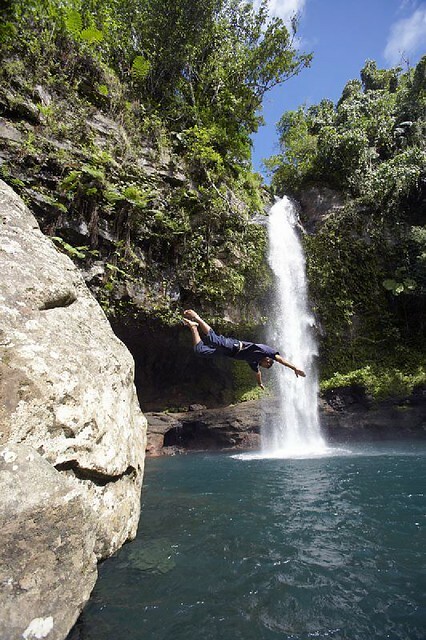 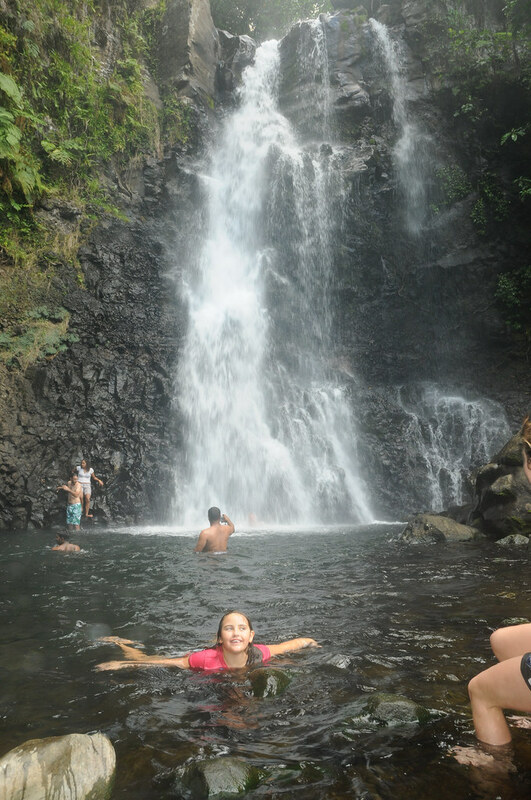 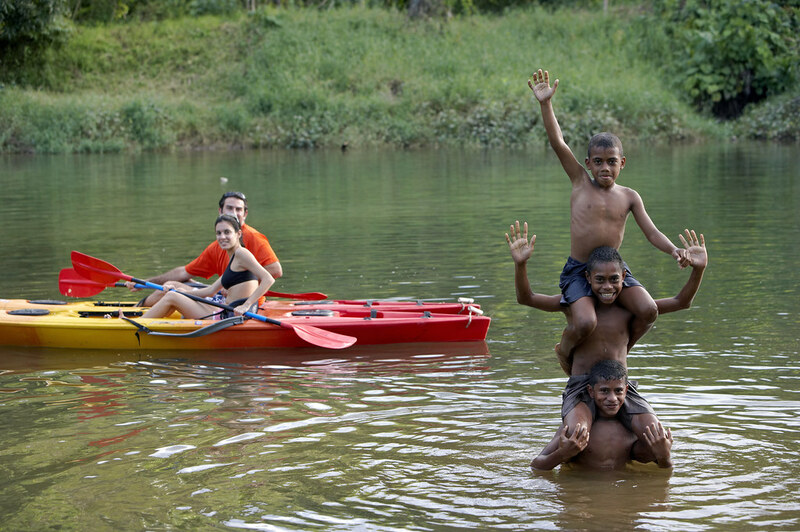 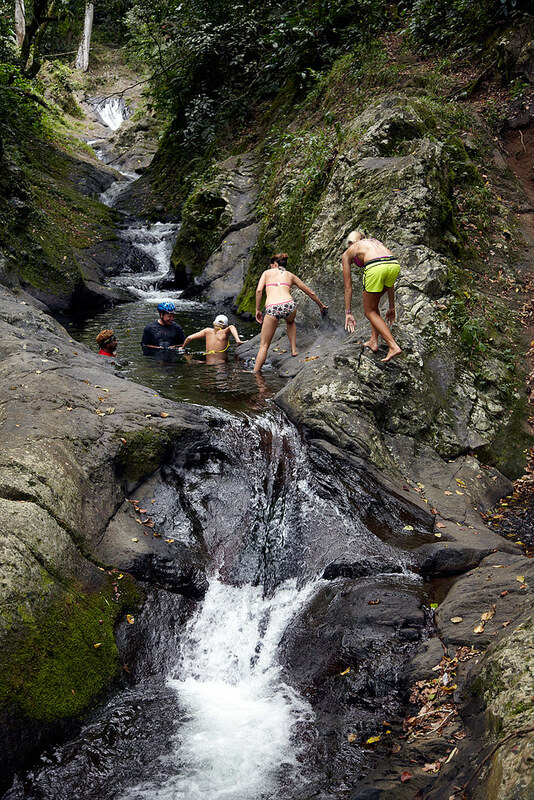 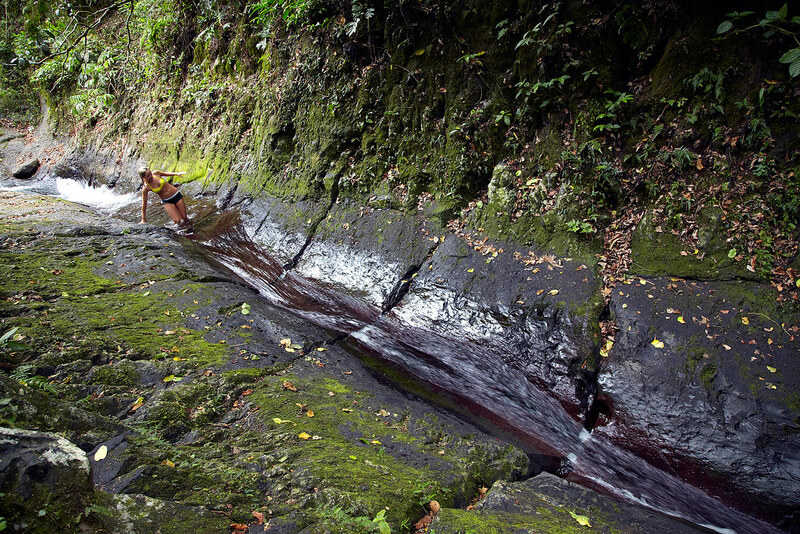 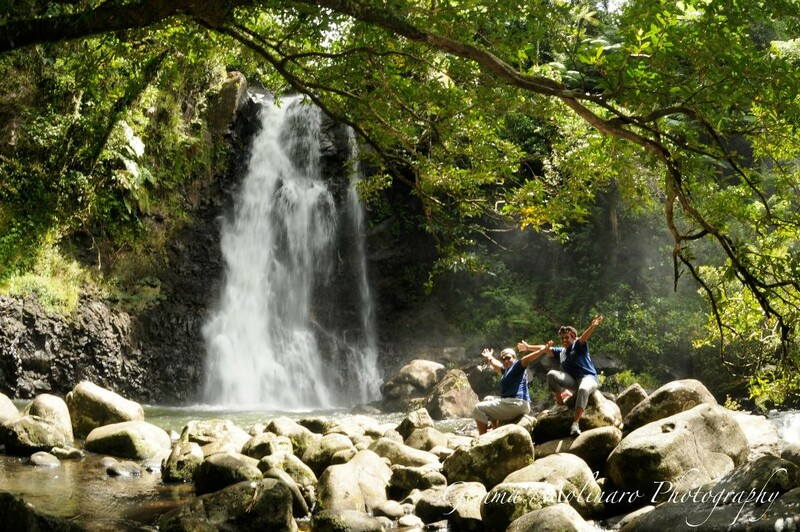 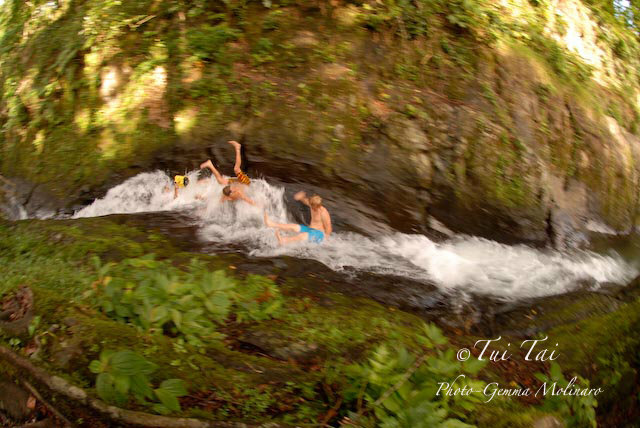 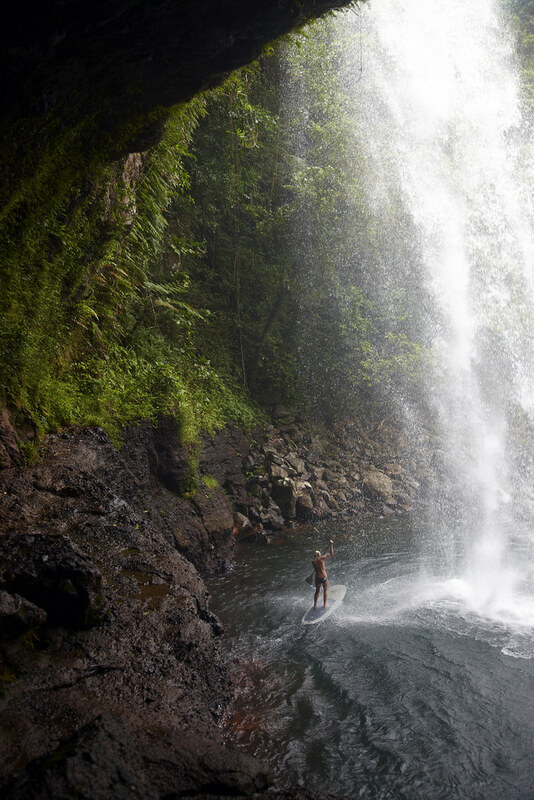 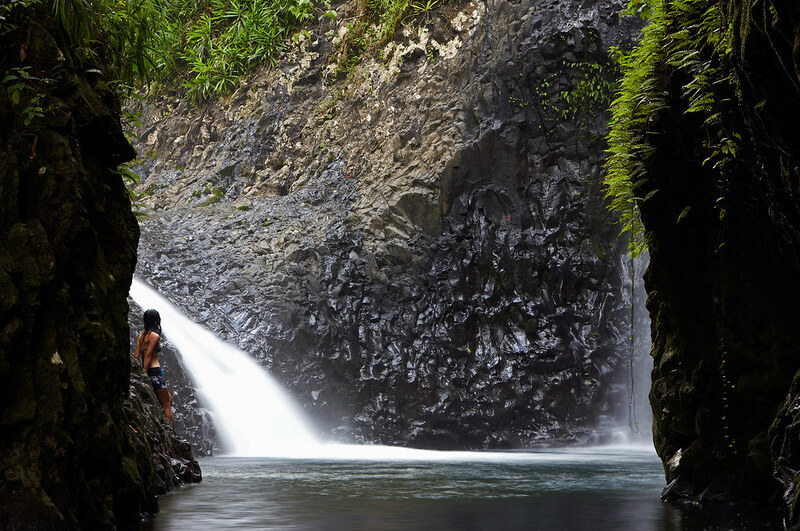 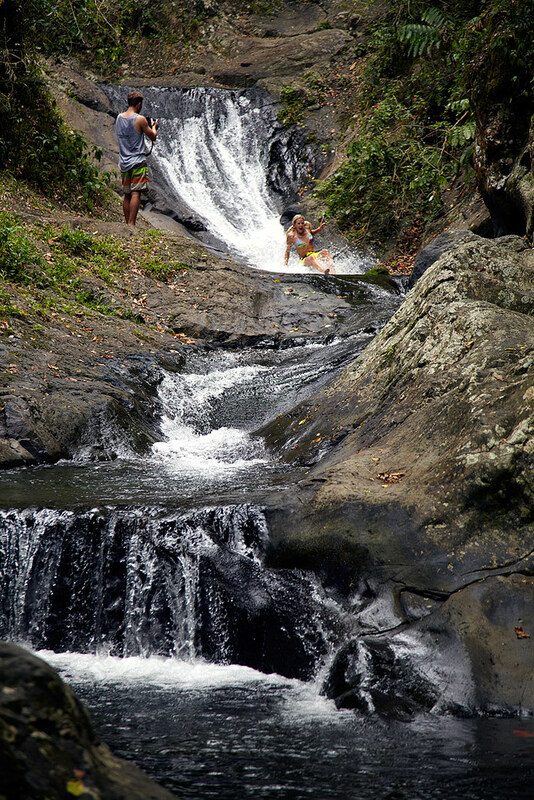 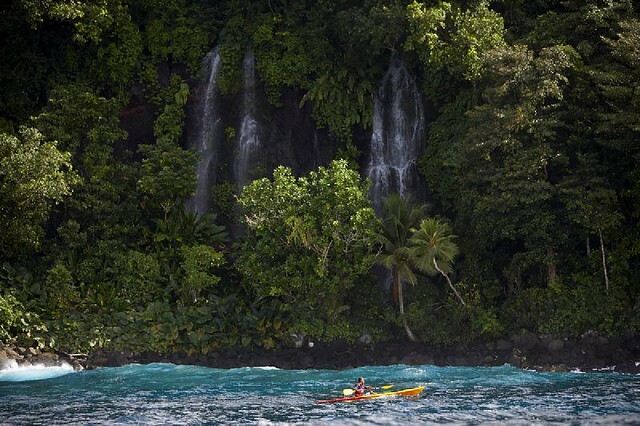 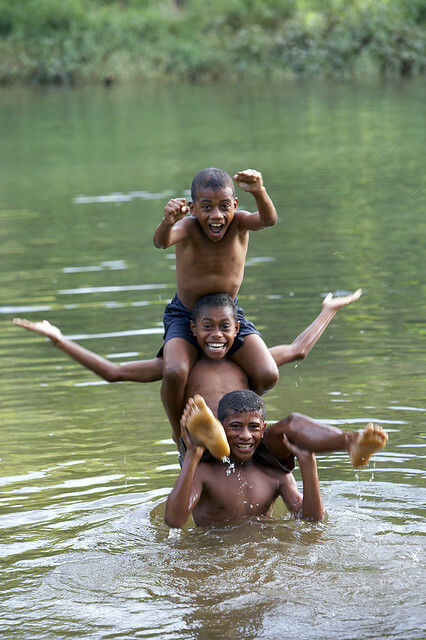 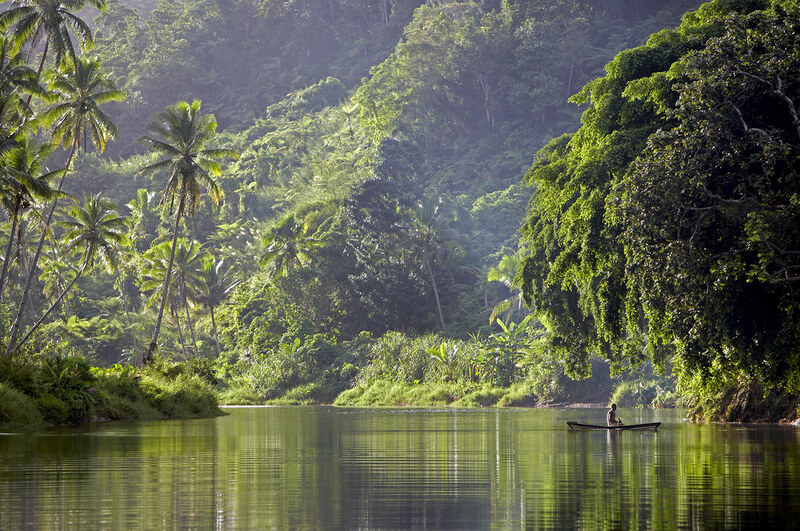 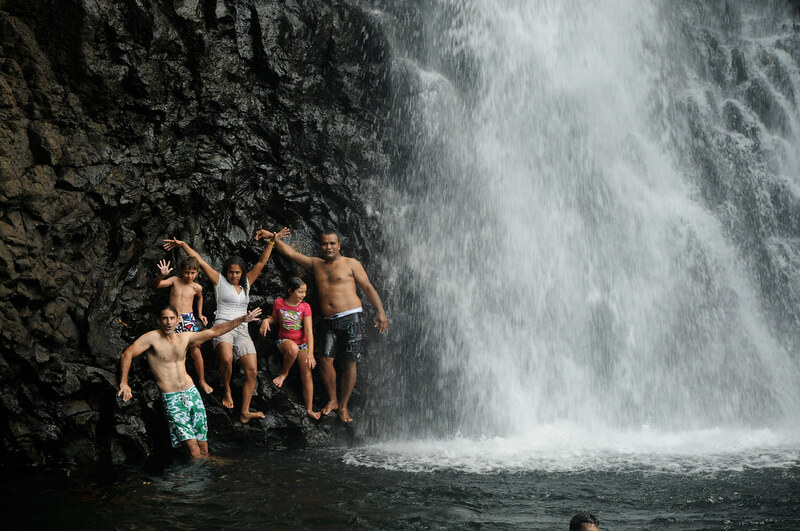 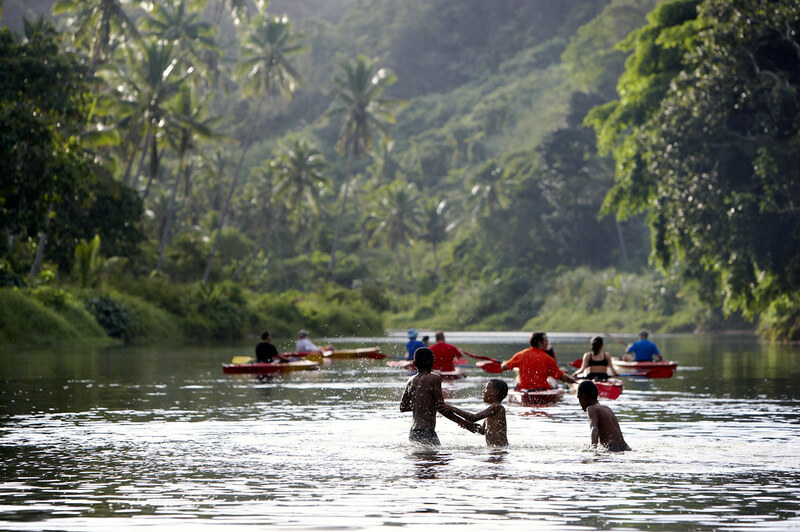 Take the plunge and slide down nature’s slide through the Taveuni rainforest. 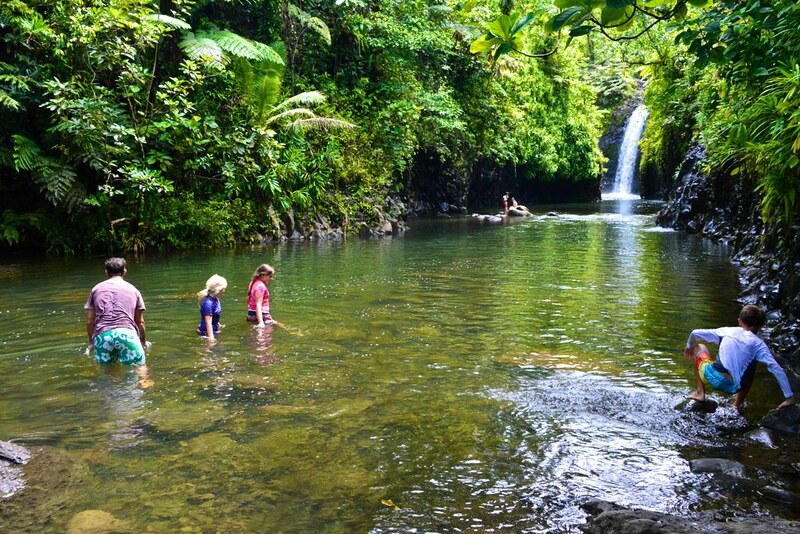 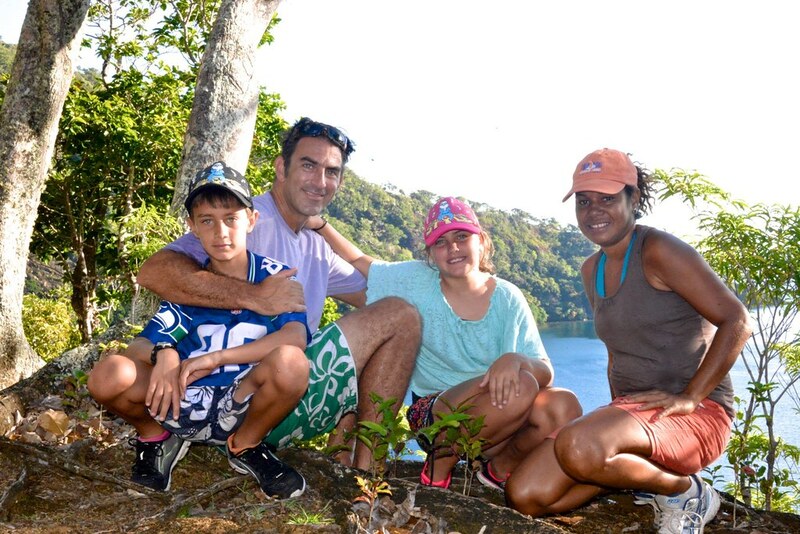 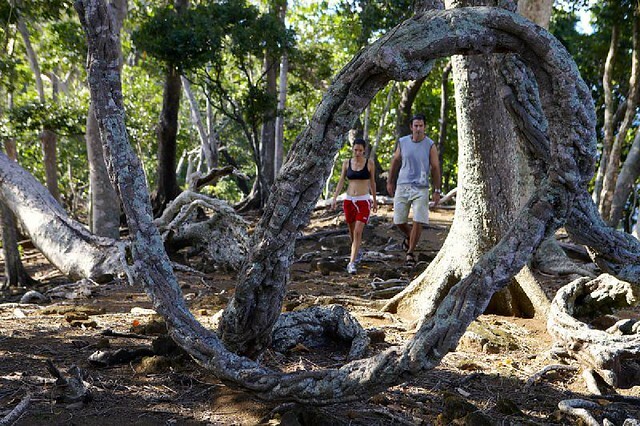 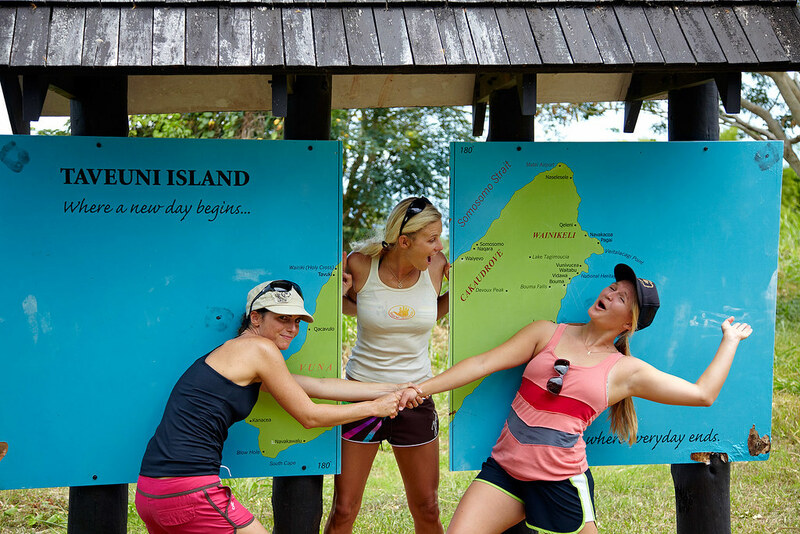 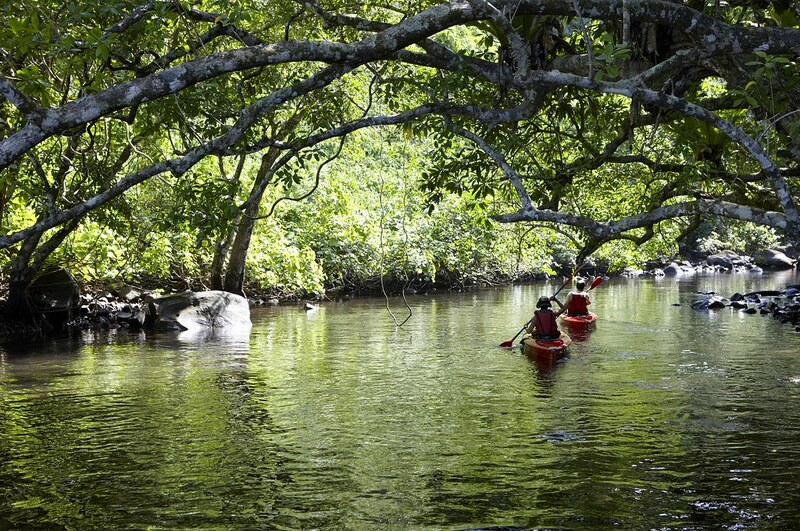 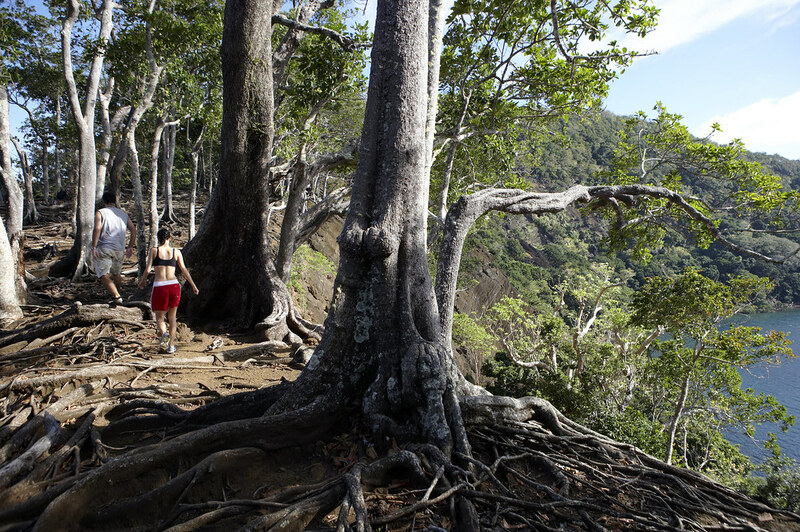 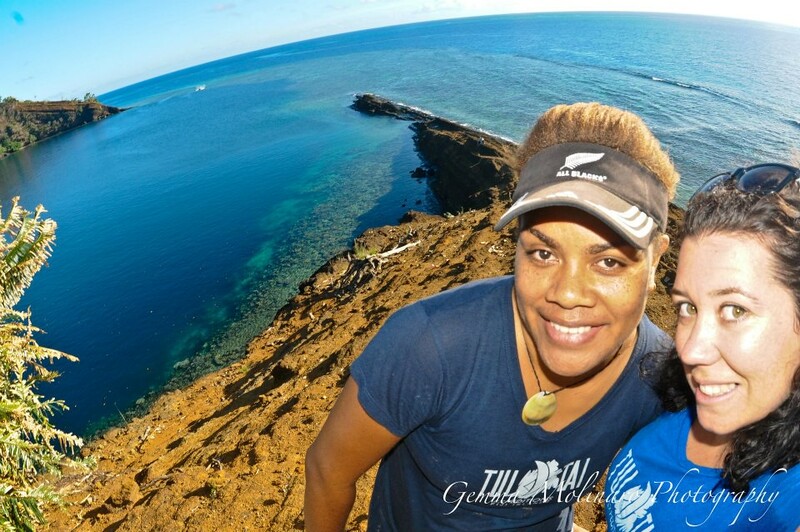 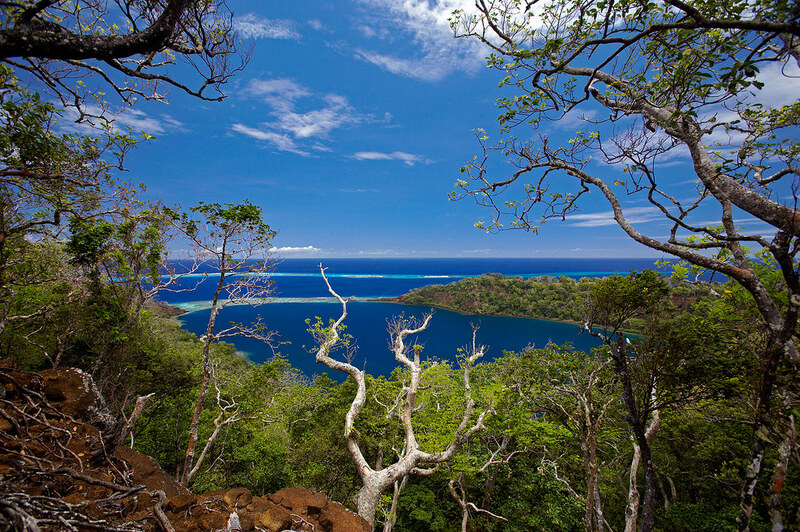 Hike through the Bouma National Heritage Park and support Fiji’s most successful ecotourism/conservation project. 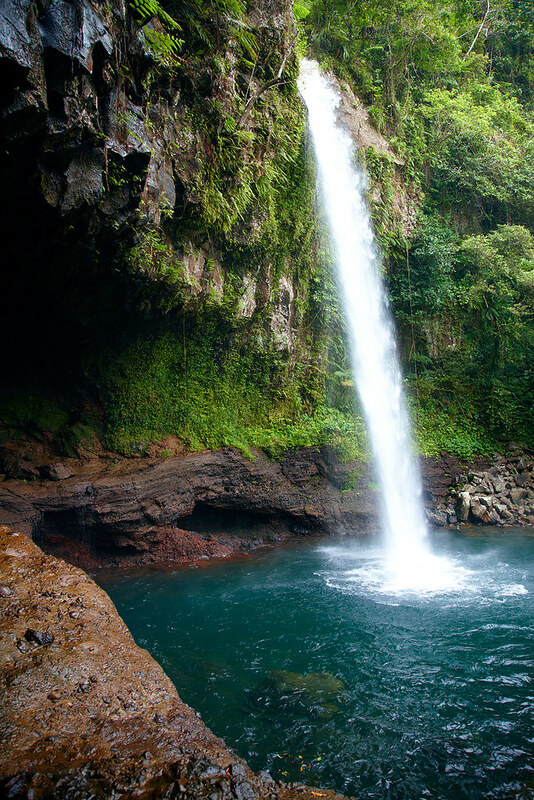 You can swim in 3 different sets of waterfalls as you hike the rainforest, watch for exotic birds and endemic plants and flowers. 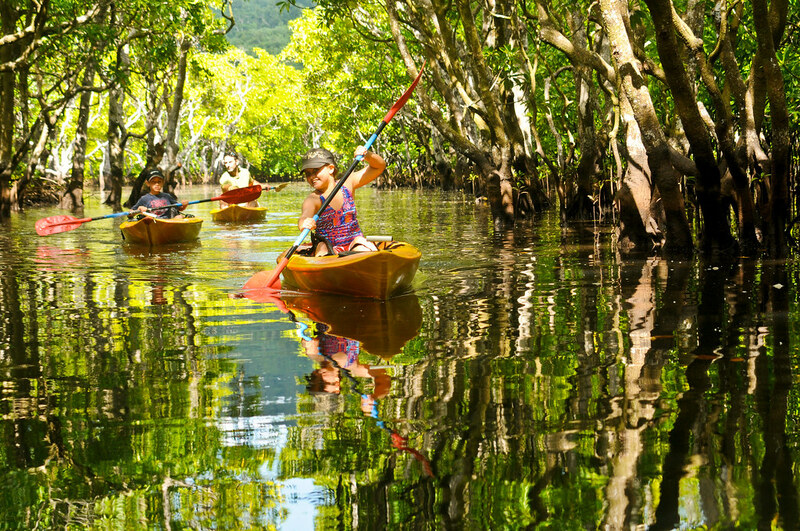 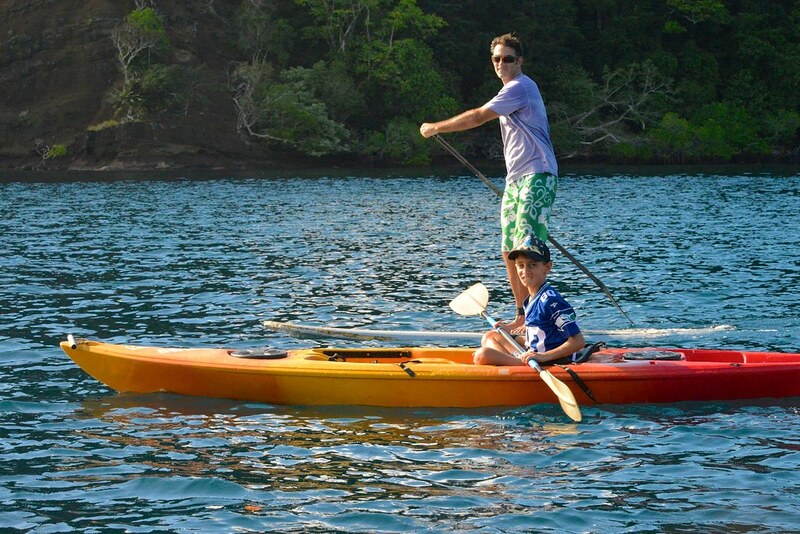 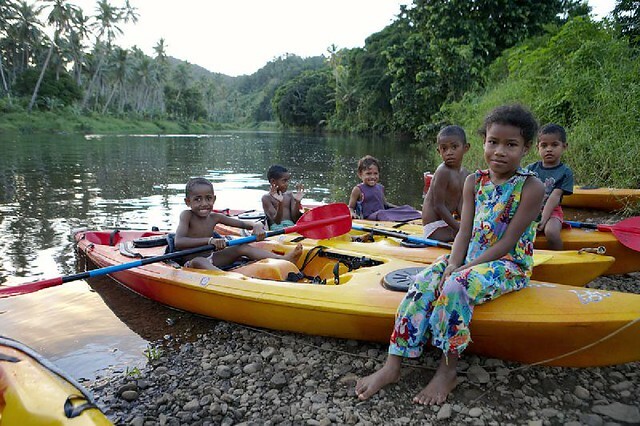 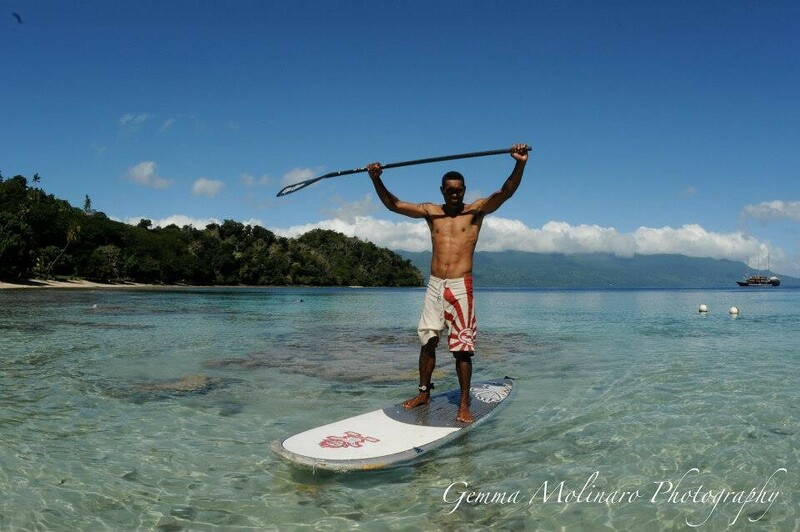 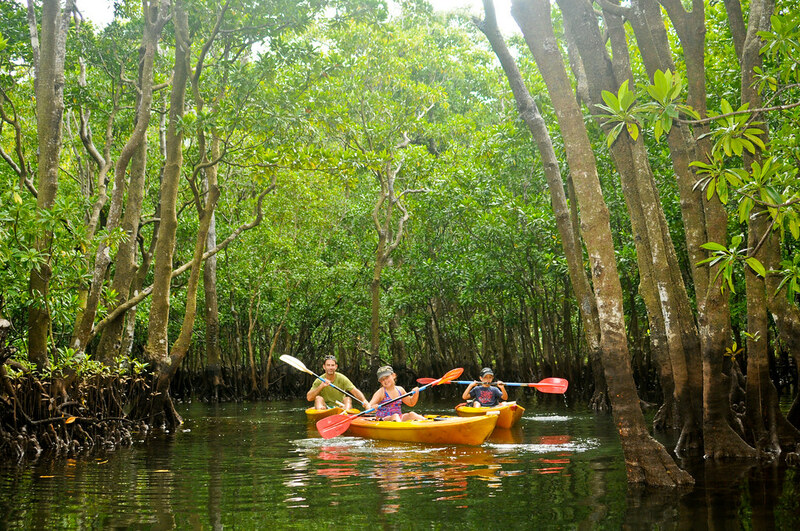 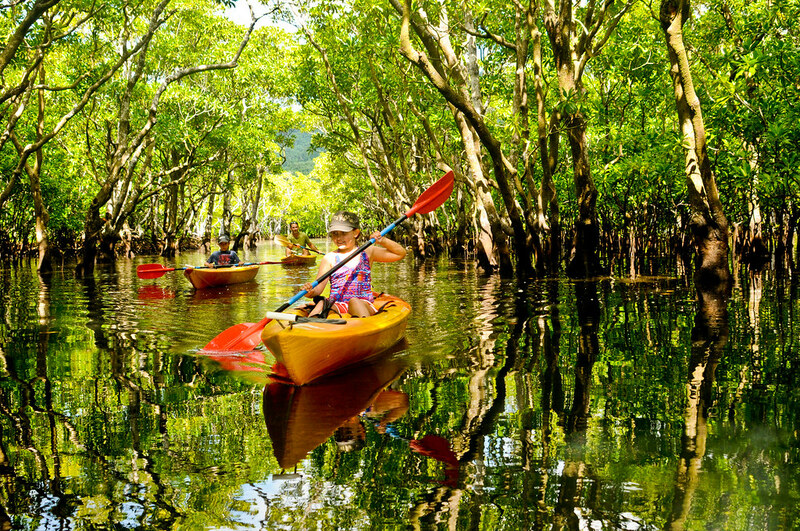 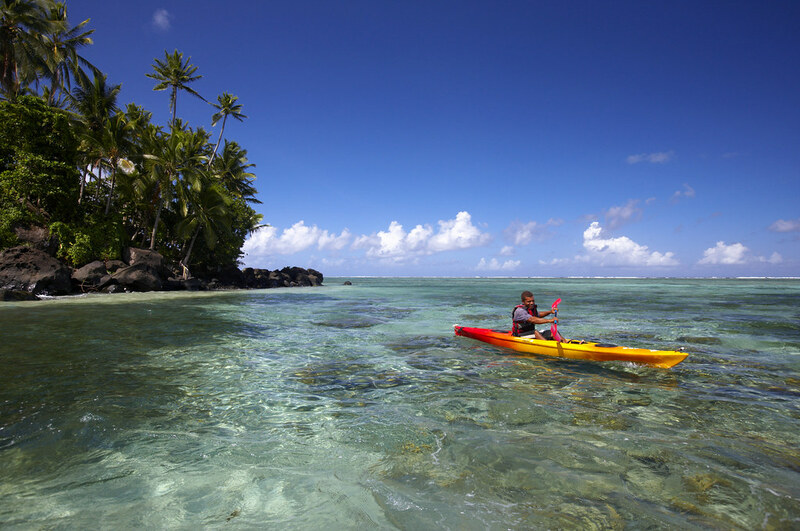 Kayak or standup-paddle along the white sand beaches, black rock and overy teh crystal calm waters of Natewa Bay: the second largest bay in the southern hemisphere yet almost completely undeveloped. 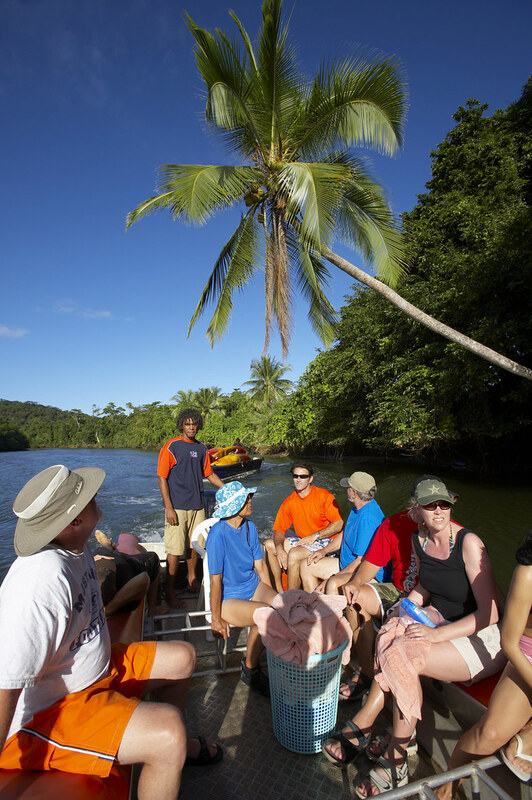 Take a stunning coastal drive from Savusavu to Natewa Bay, where you’ll board the Tui Tai, drop your gear off in your room and nibble on locally-sourced snacks while receiving a foot massage. 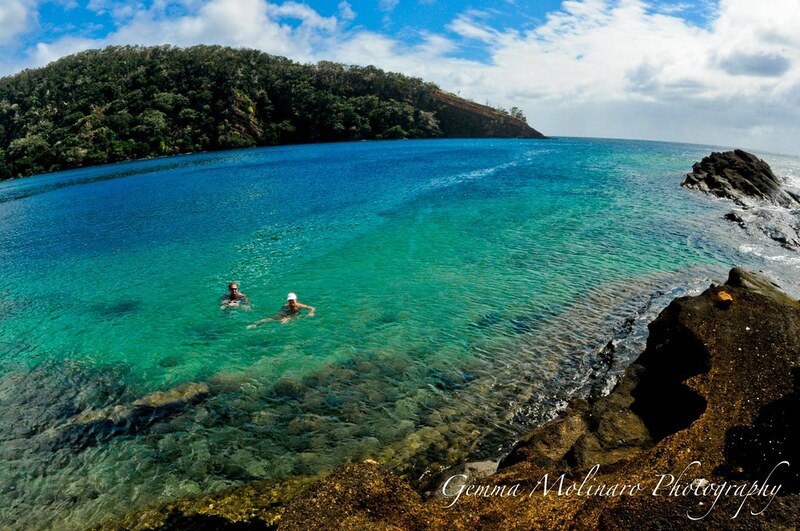 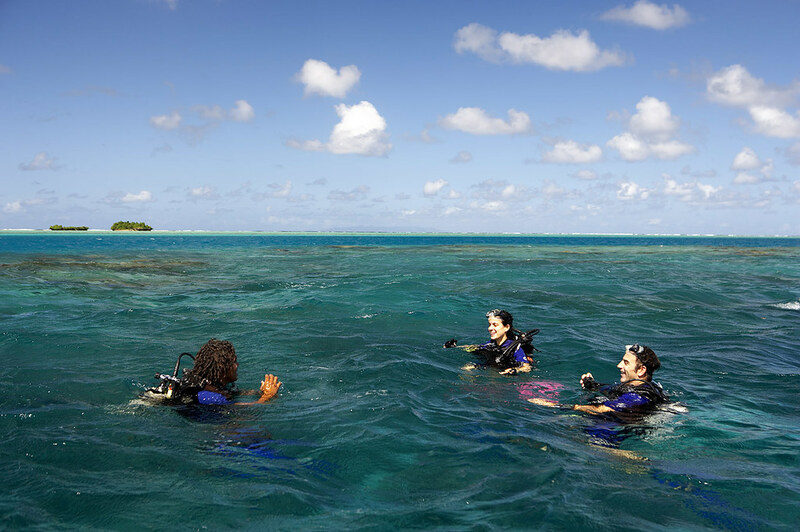 Jump in for a quick swim, snorkel or scuba dive and, after lunch, kayak along the protected, completely undeveloped coastline of Natewa Bay, the second largest bay in the southern hemisphere. 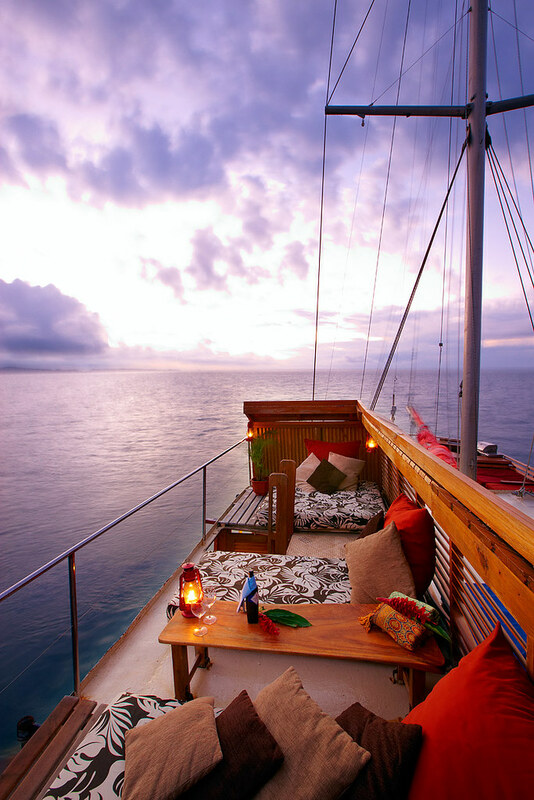 Back aboard, we raise sail with the sunset at our backs. 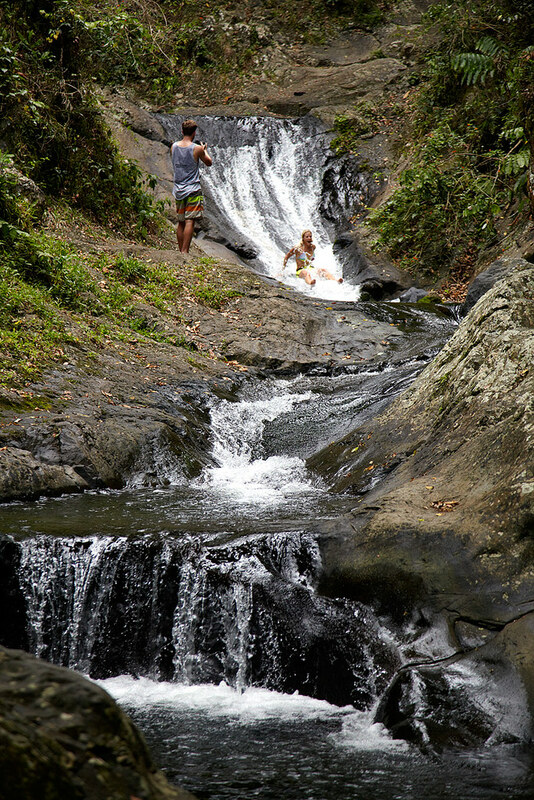 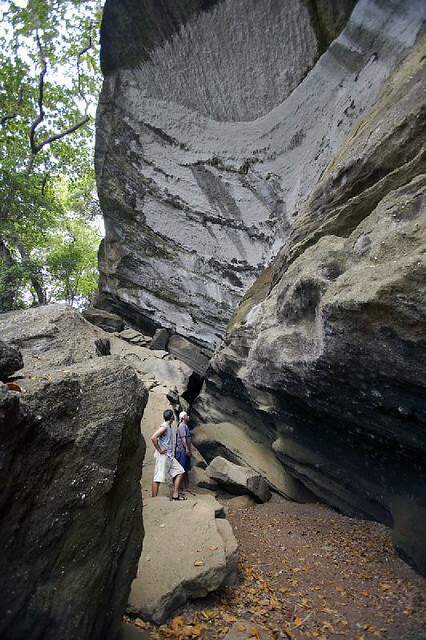 After breakfast, we hike along the coast to the frontier-like outpost of Somosomo, crossing over the International Dateline en route to Waitavala, where you’ll slide down a series of naturally occurring waterslides and pools. 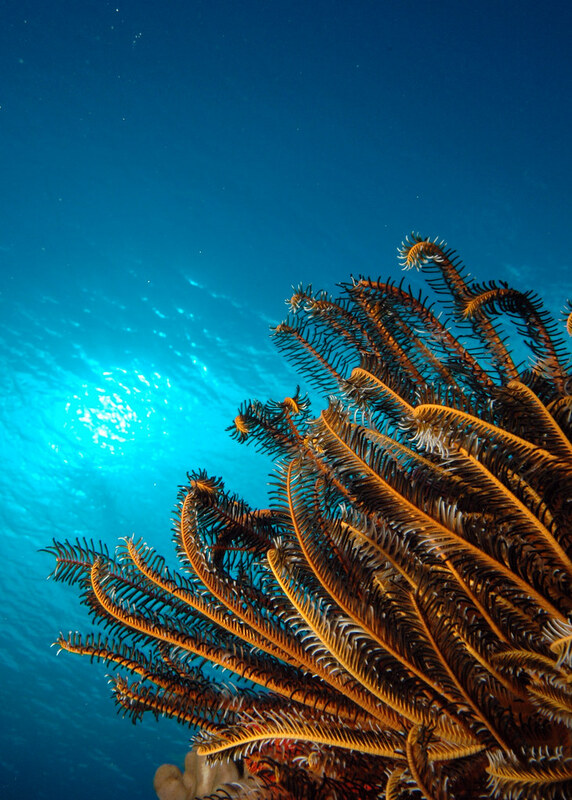 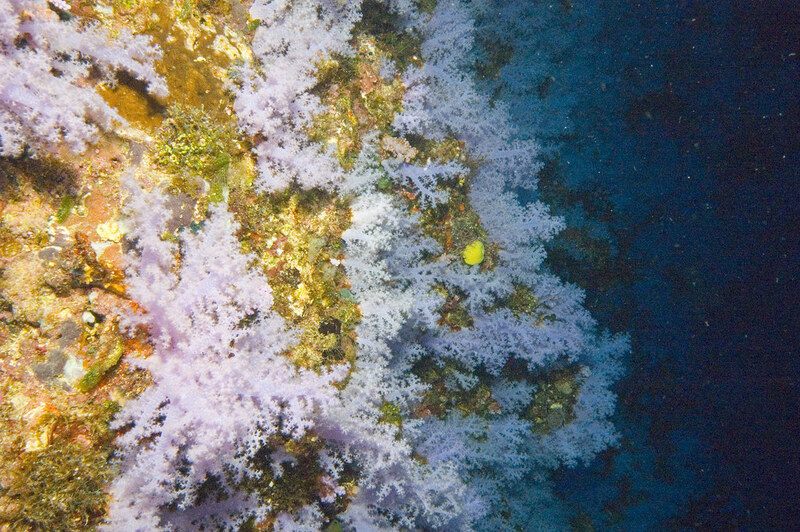 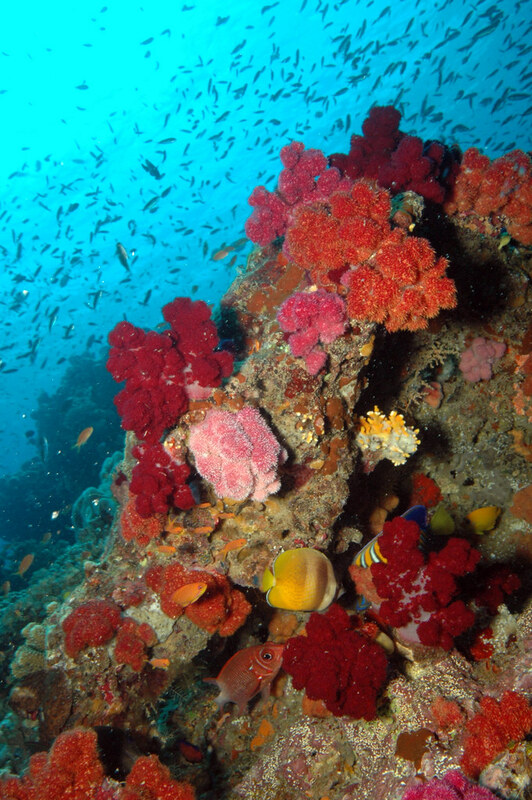 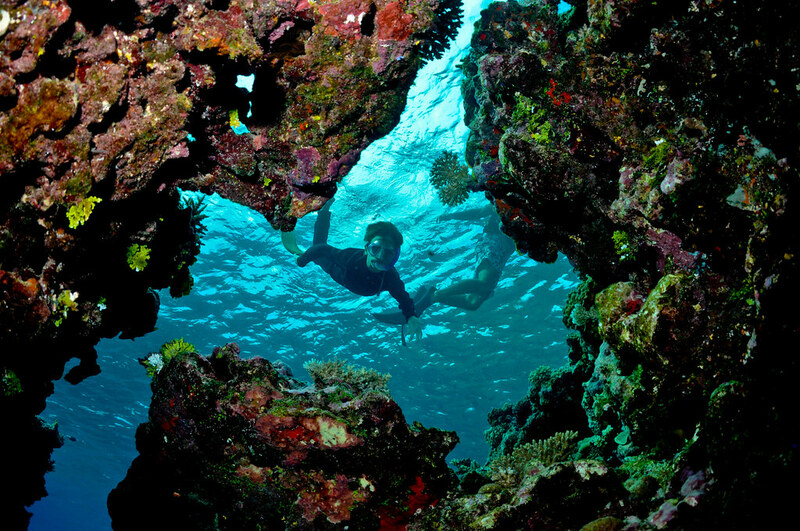 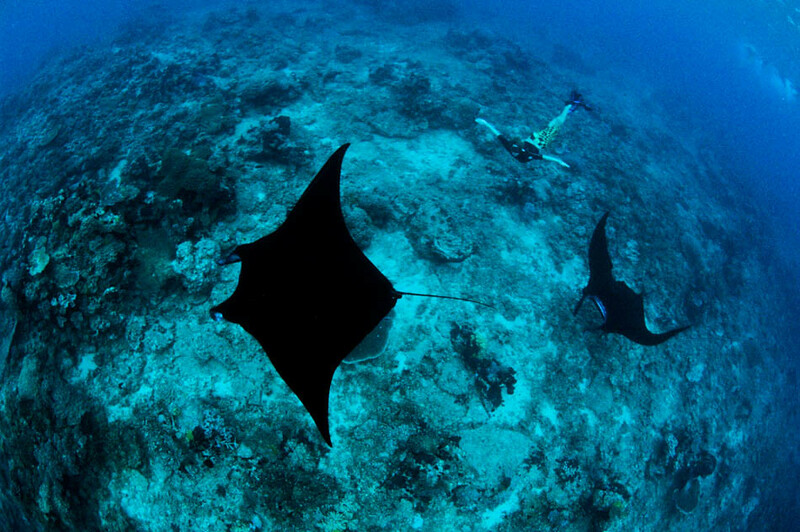 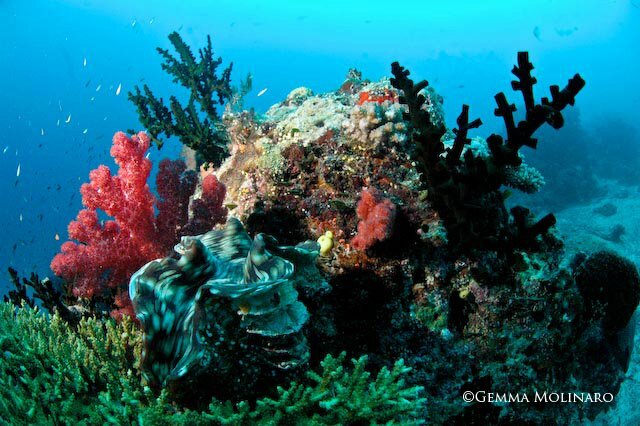 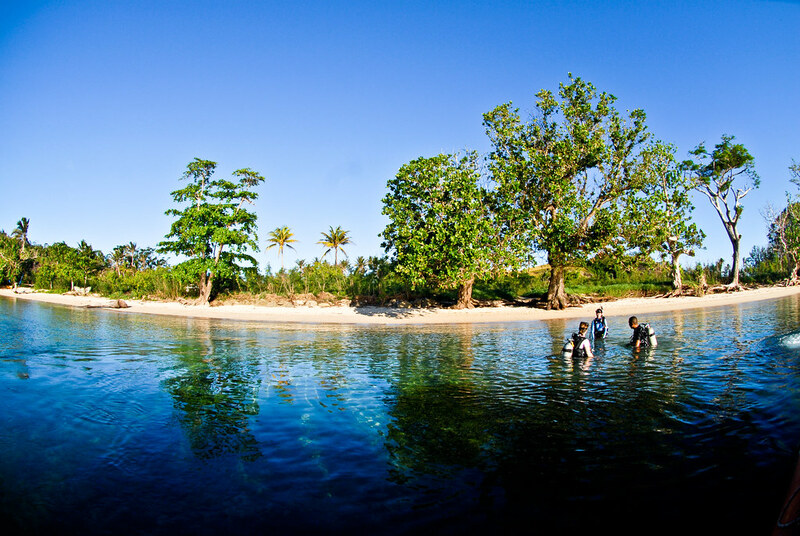 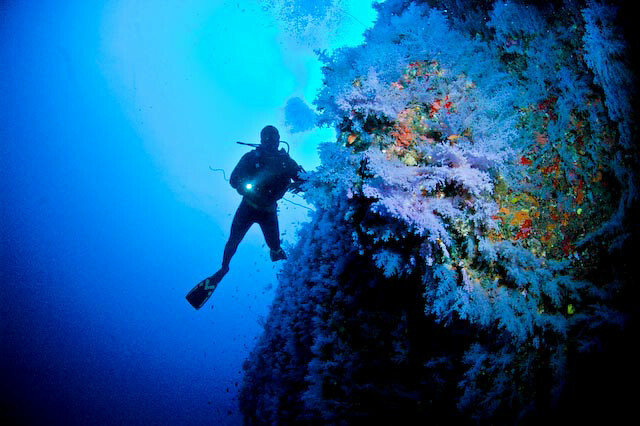 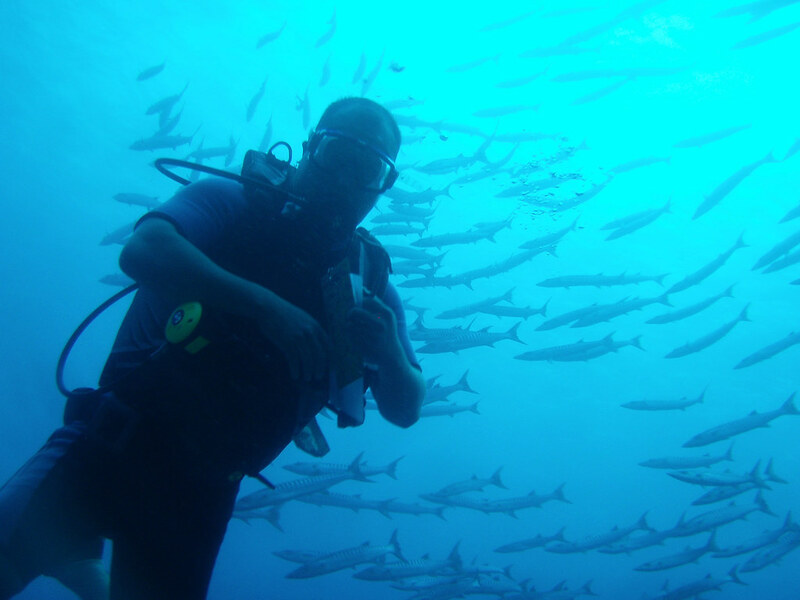 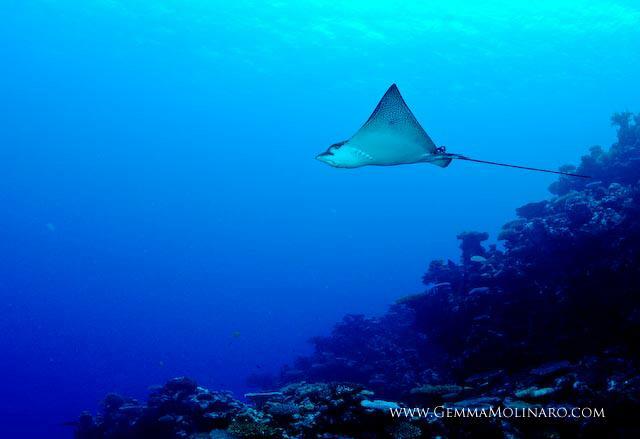 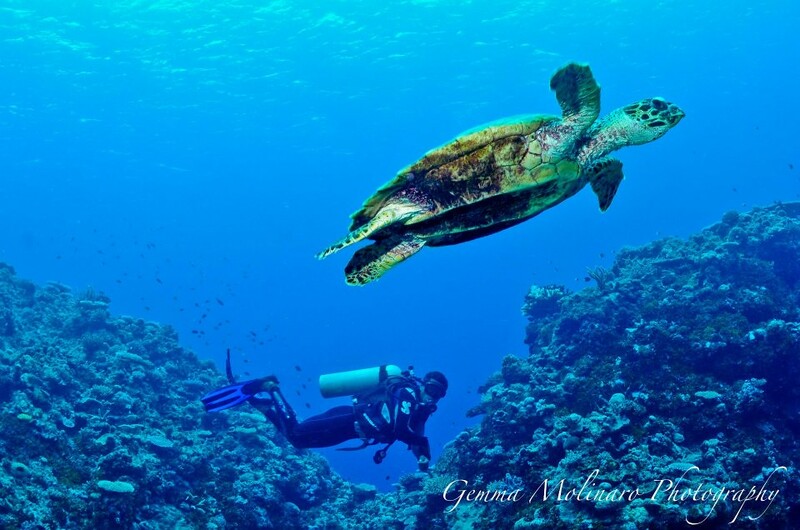 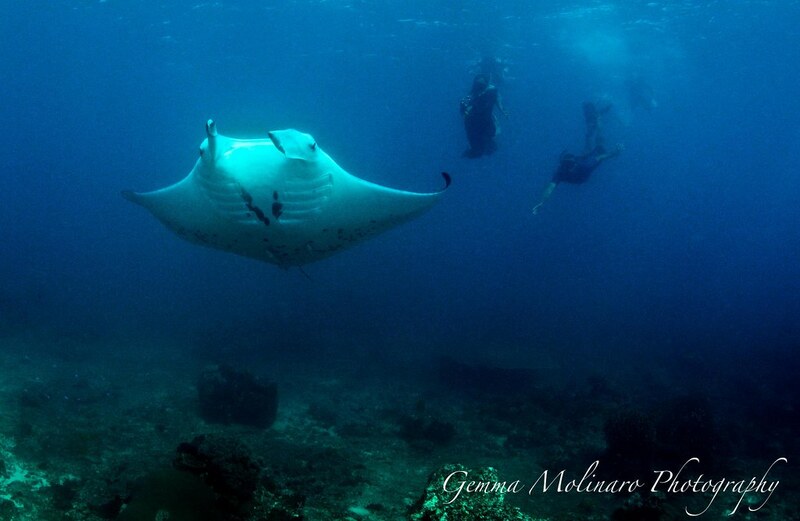 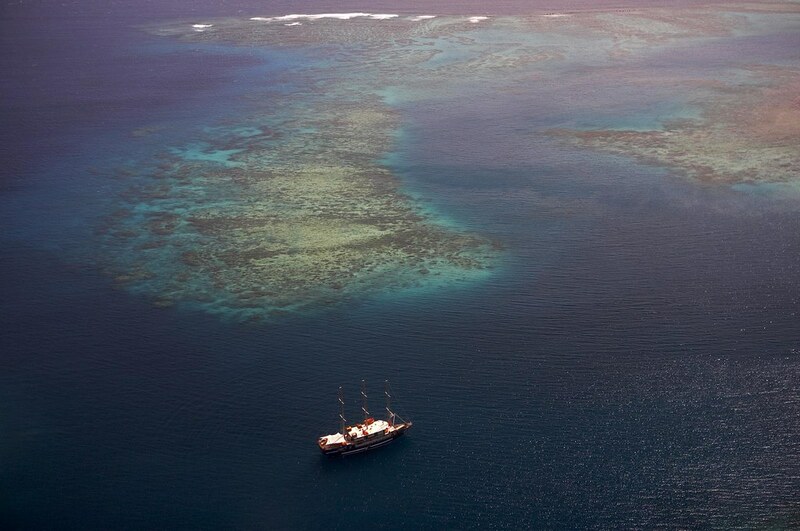 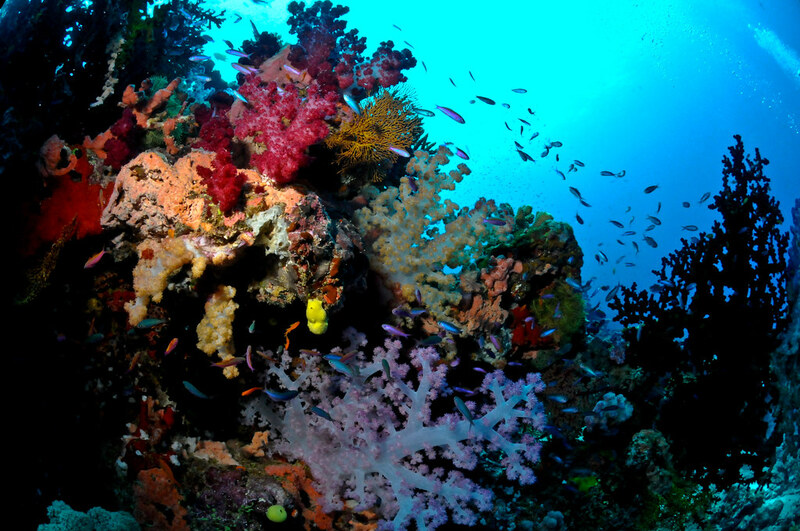 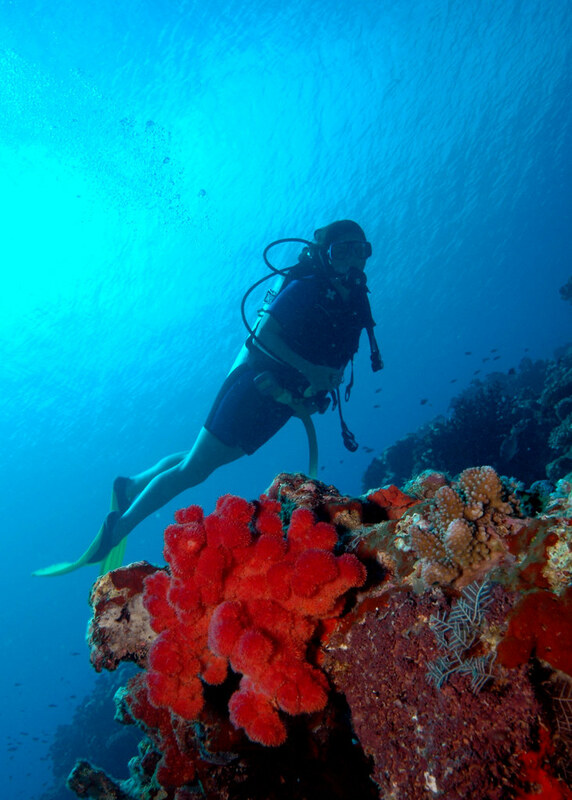 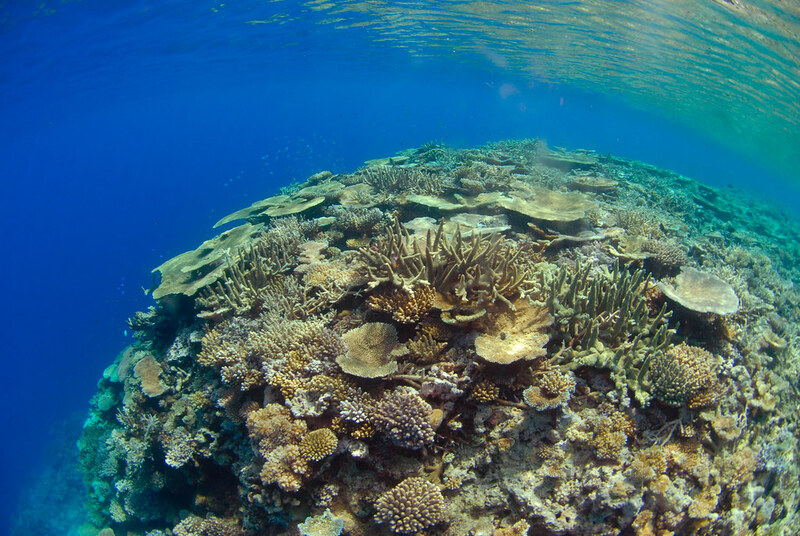 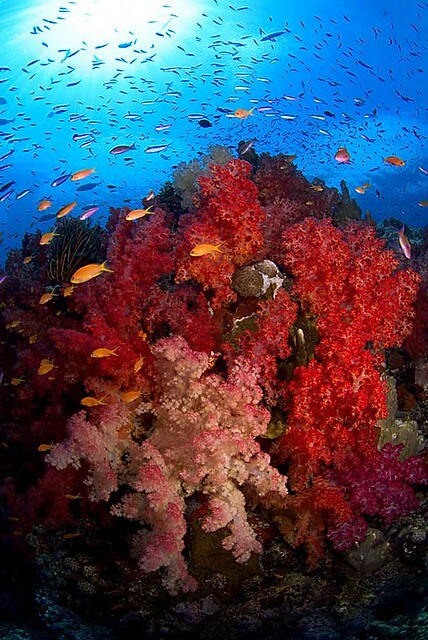 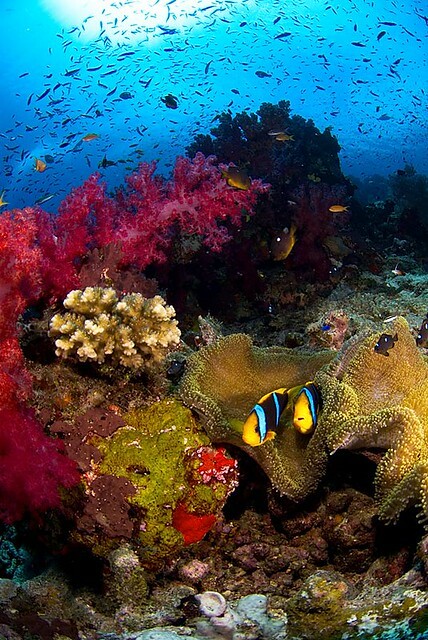 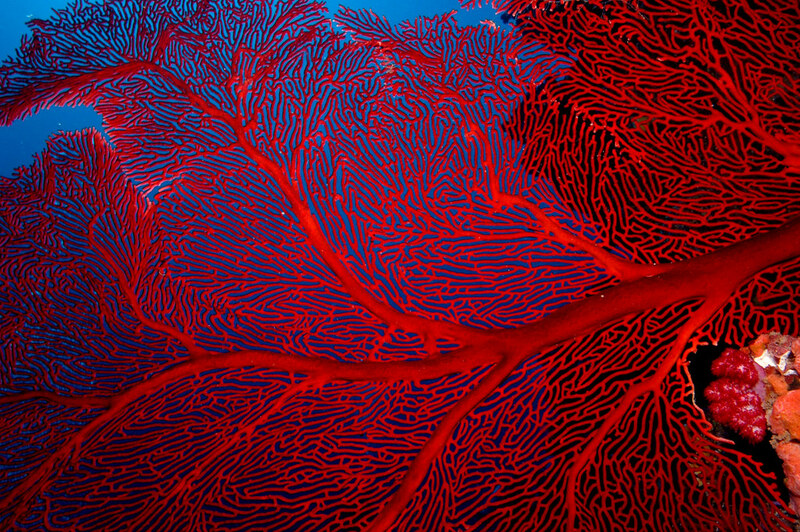 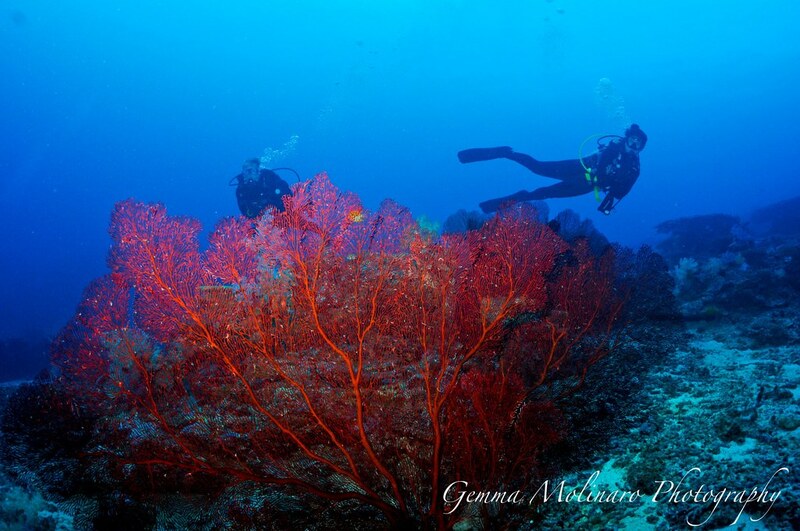 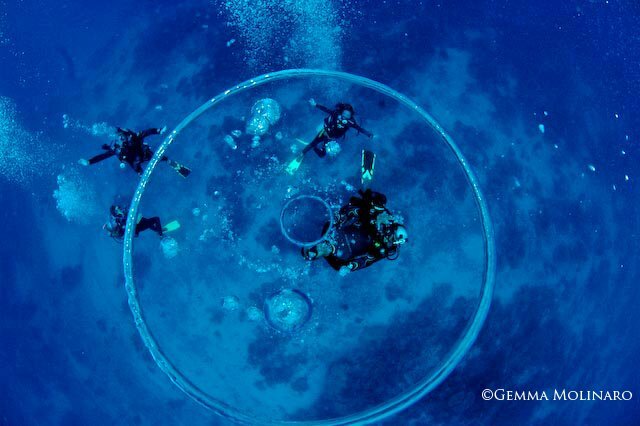 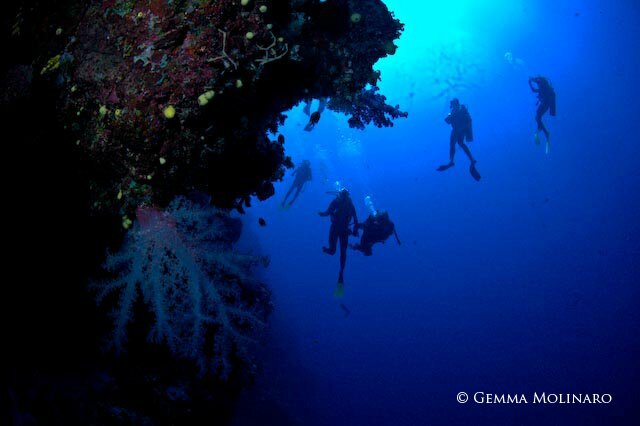 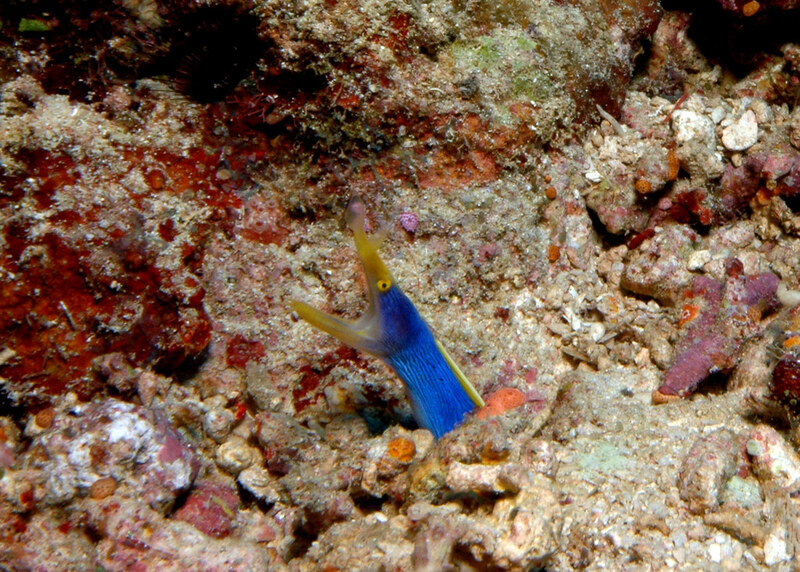 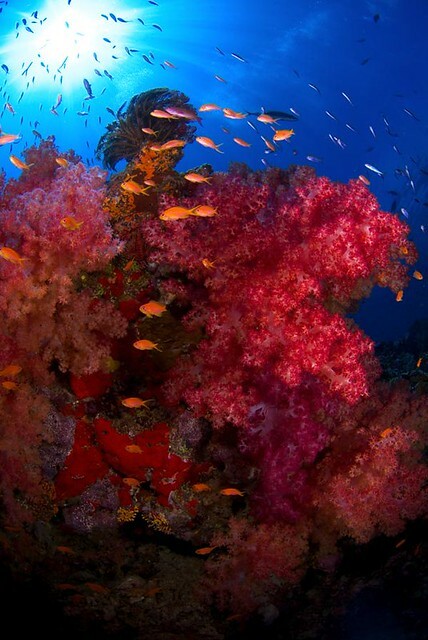 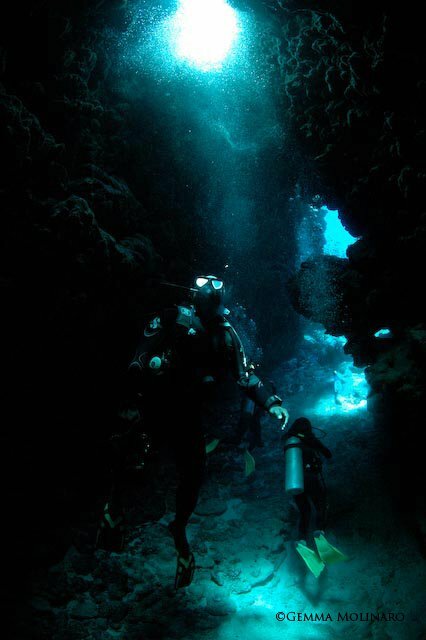 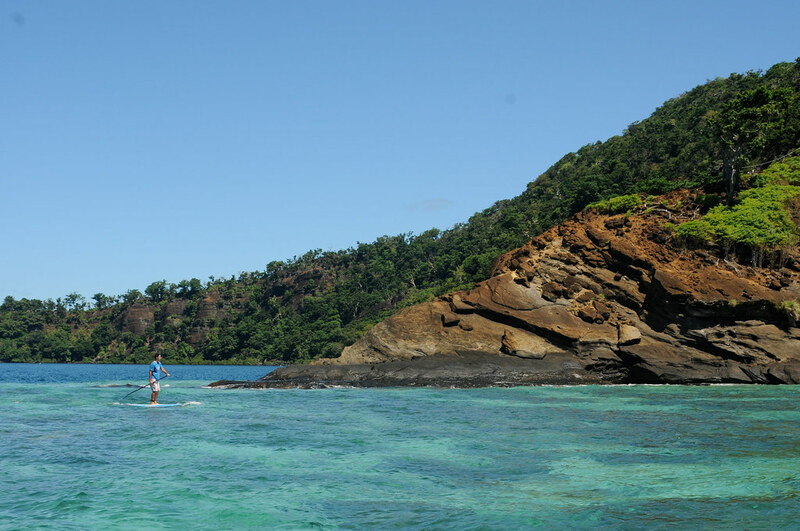 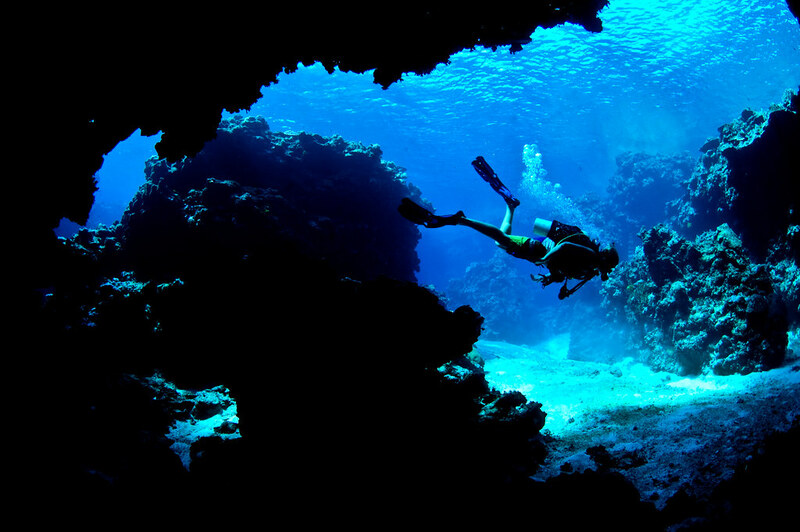 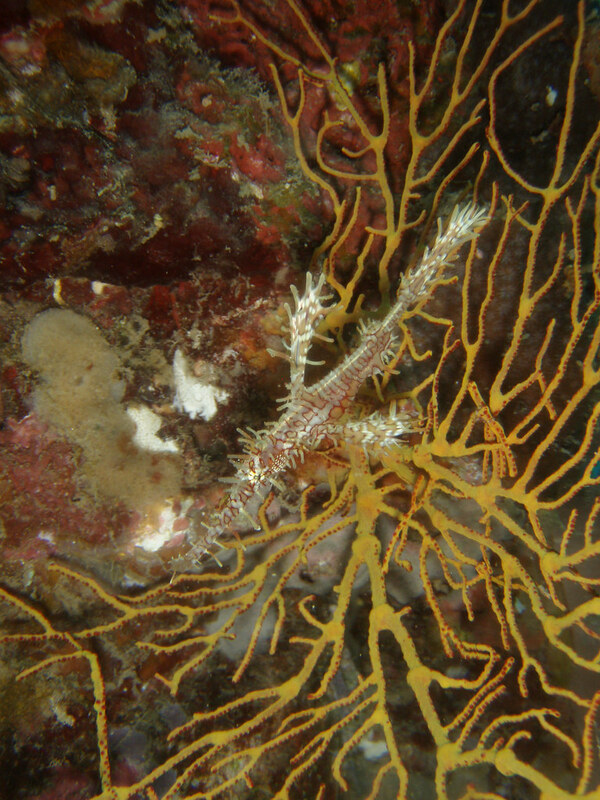 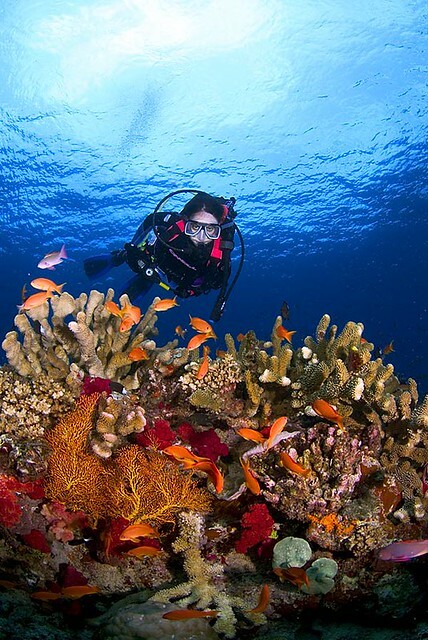 Divers, explore Rainbow Reef, where byzantine coral gardens of The Farm and Nakawa Point will amaze. 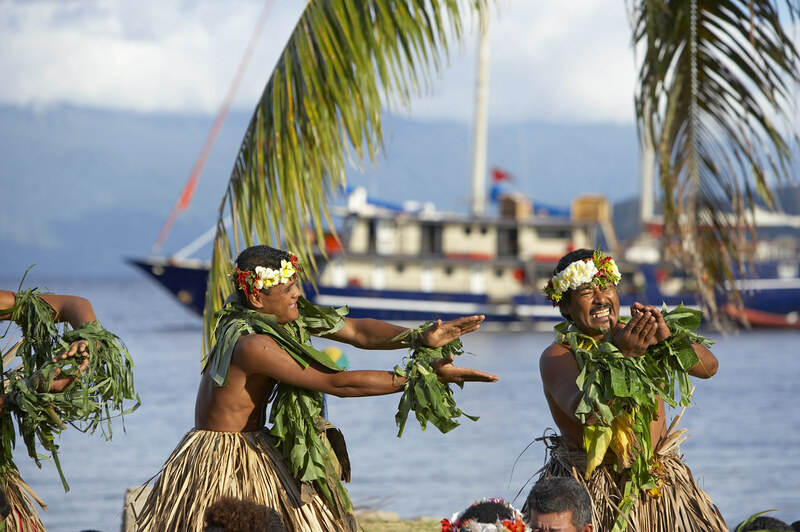 Take your lunch onboard Tui Tai as we sail across the Somosomo Strait to Kioa Island, visiting the island’s master craftspeople and fishers before they present a traditional “Fatele” performance, showcasing Polynesian ancestry. 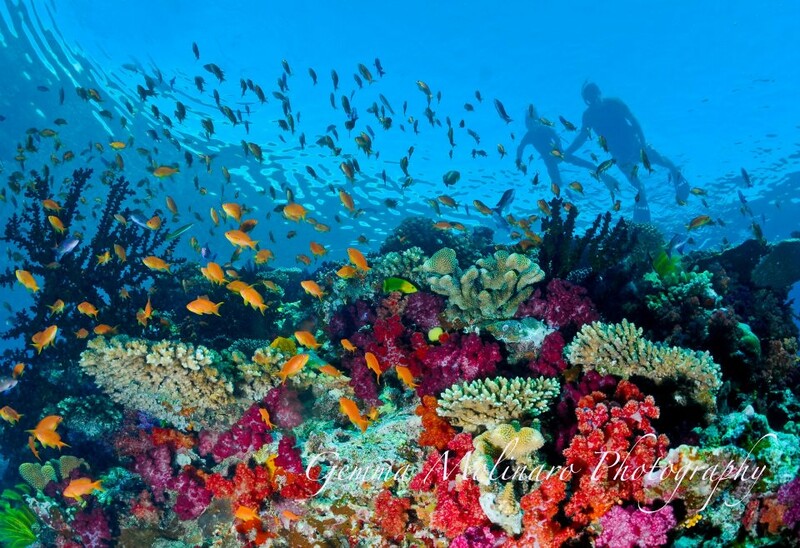 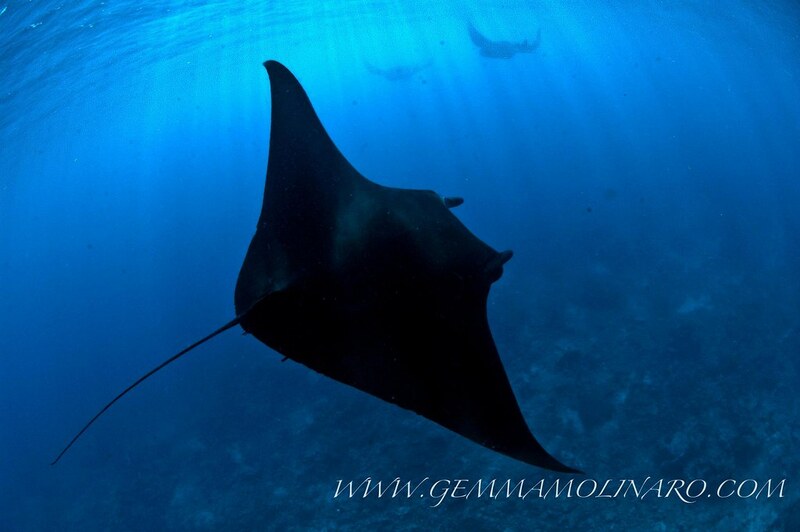 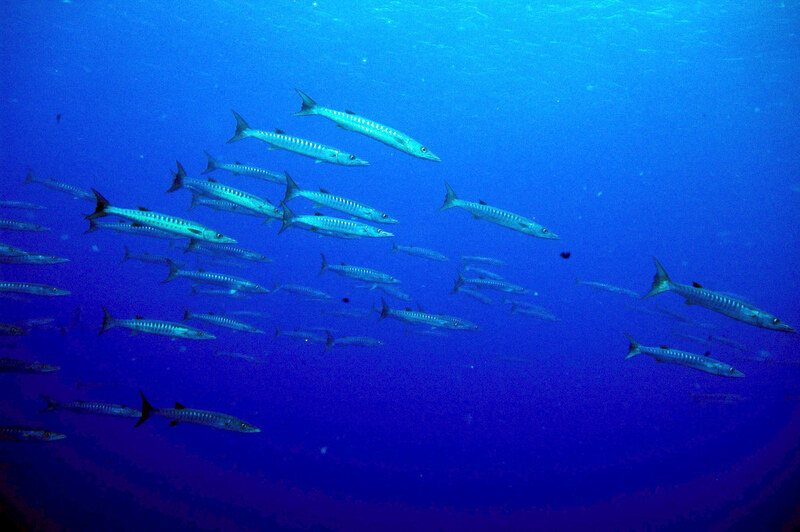 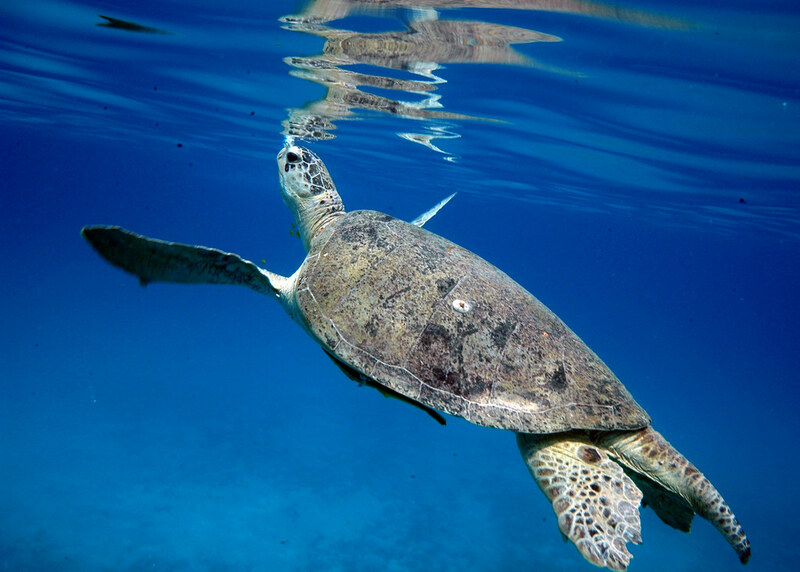 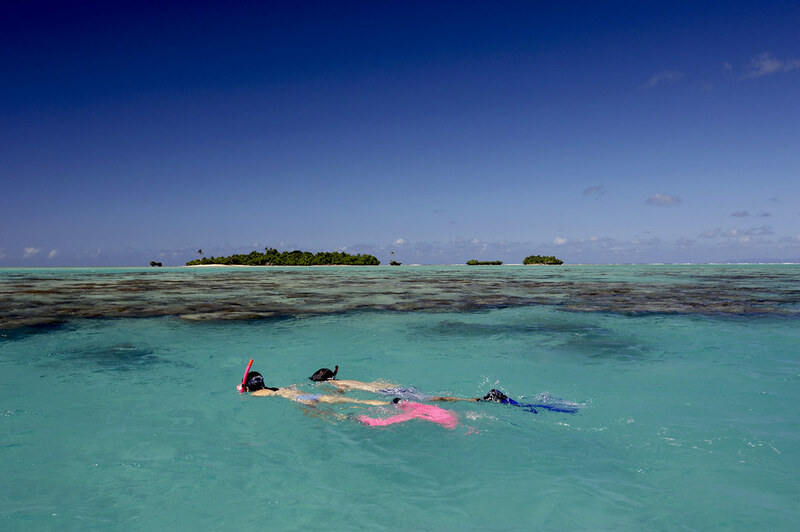 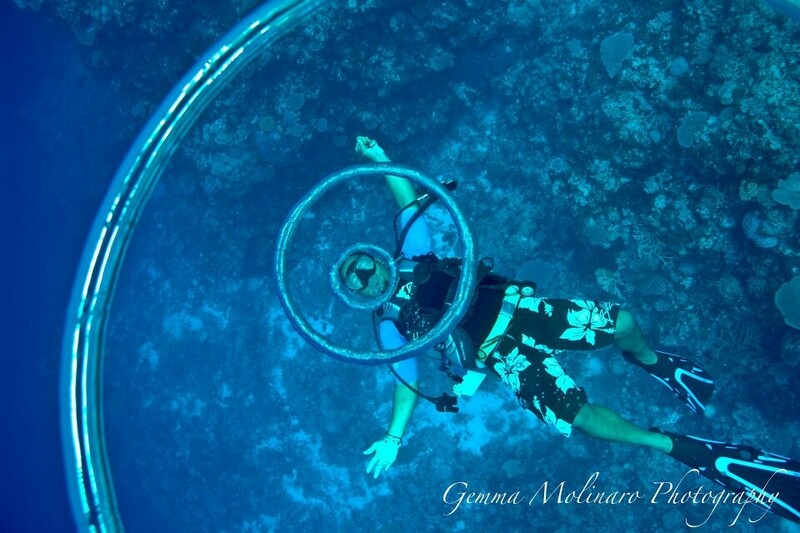 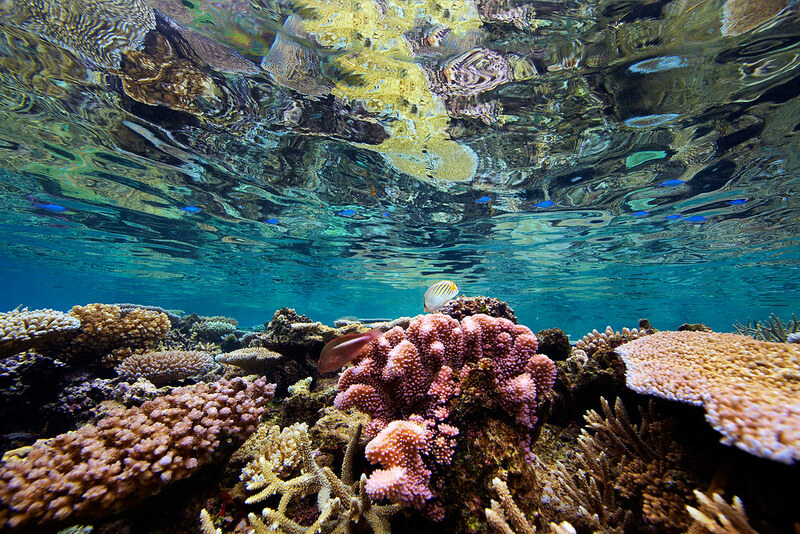 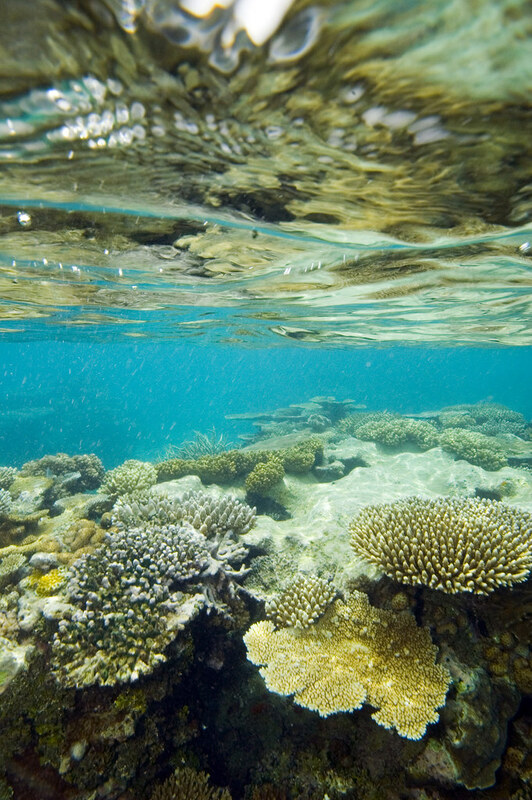 Fiji Snorkeling, the "soft coral capital of the world"
With the main islands in our rearview mirror, we anchor among the Ringgold Atolls, surrounded by a barrier reef that creates a tranquil lagoon teeming with life and vibrant color. 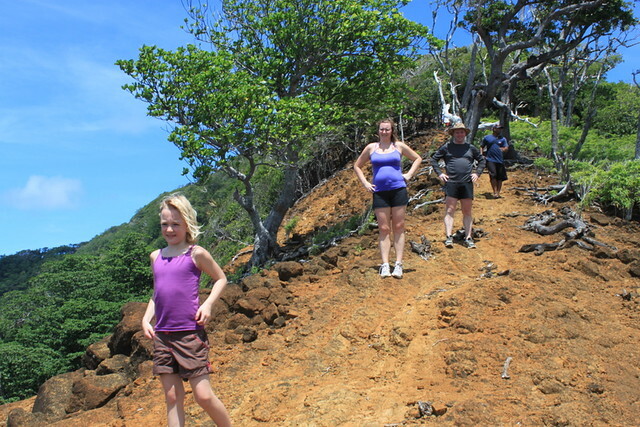 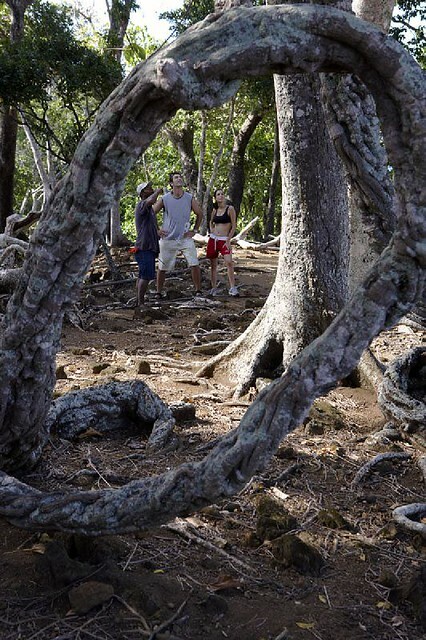 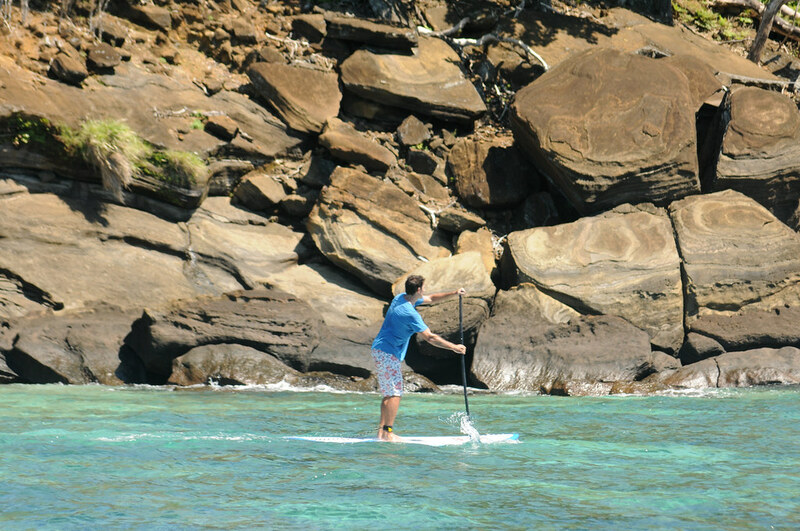 On Cobia, hike to the volcanic island’s summit along natural tree root steps, then explore the crater’s mystic lagoon on kayak or stand-up paddleboard. Throughout the day, you can dive in waters with visibility exceeding 120 feet, picnic on remote island beaches and savor a massage in our mobile island spa. 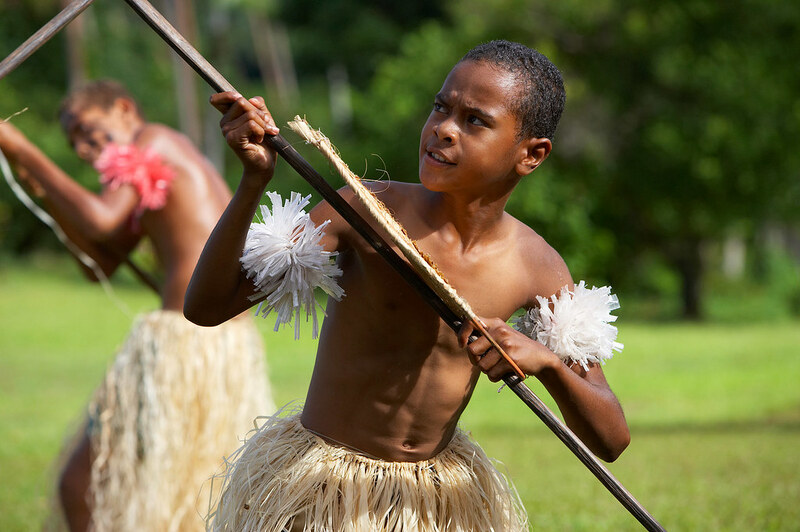 We arrive at Taveuni, Fiji’s “garden island” and home to the Bouma National Heritage Park, one of the region’s greatest conservation sites and ecotourism destinations. 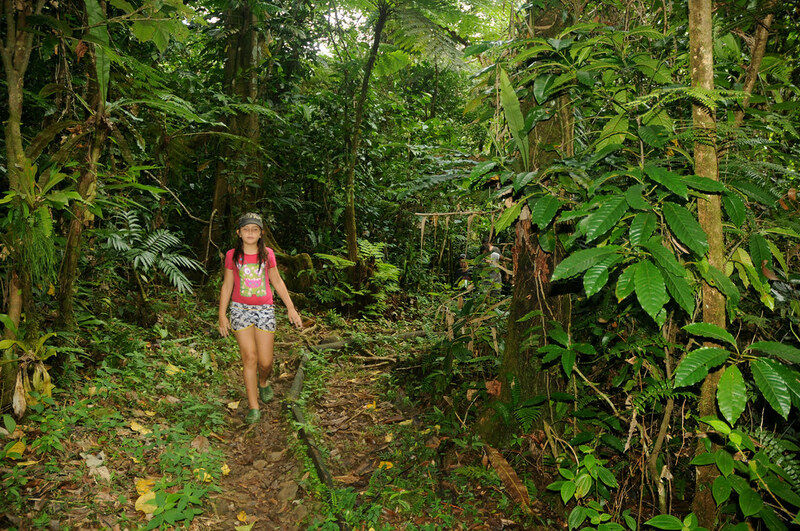 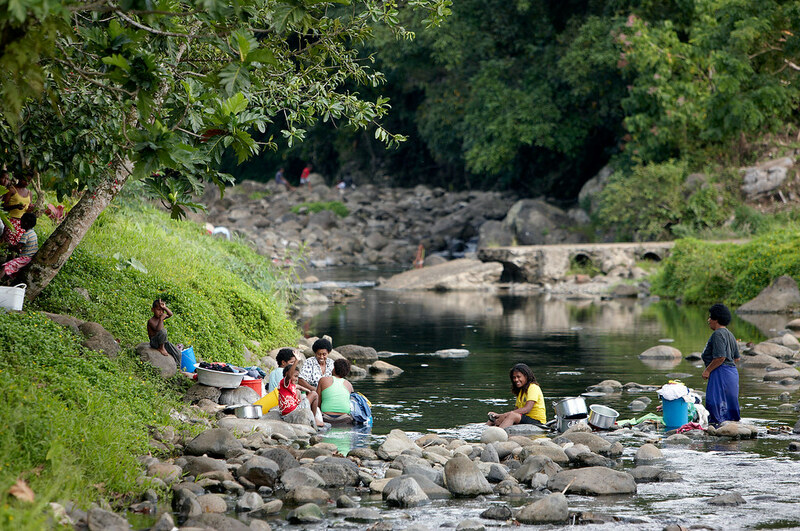 Hike along Bouma Road, passing villagers en route to the park. 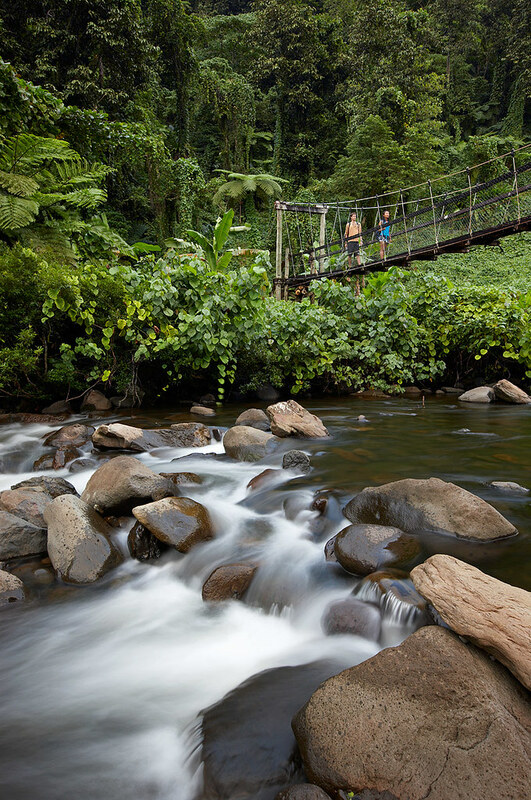 Once there, simply relax in lush rainforests, enjoy a massage in front of roaring waterfalls and swim around the huge, serene pool. 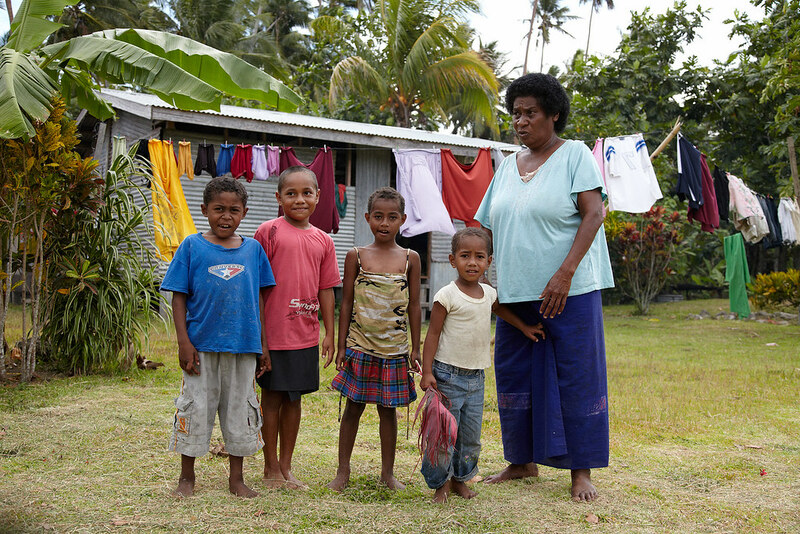 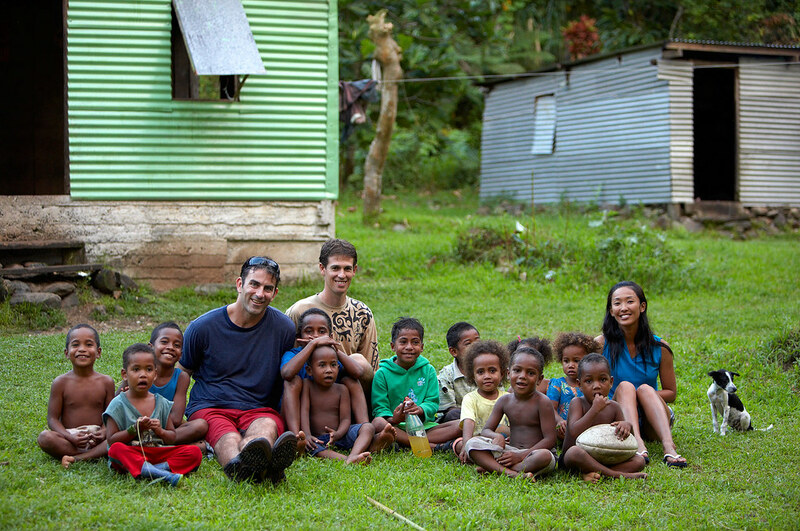 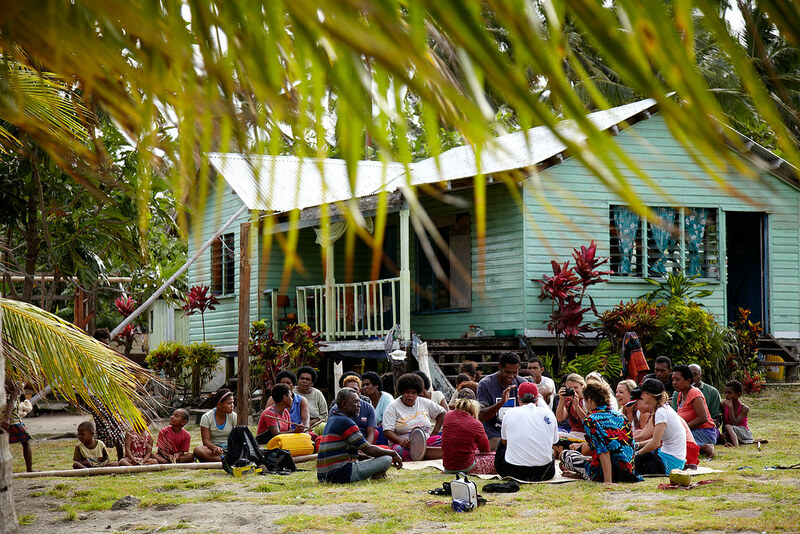 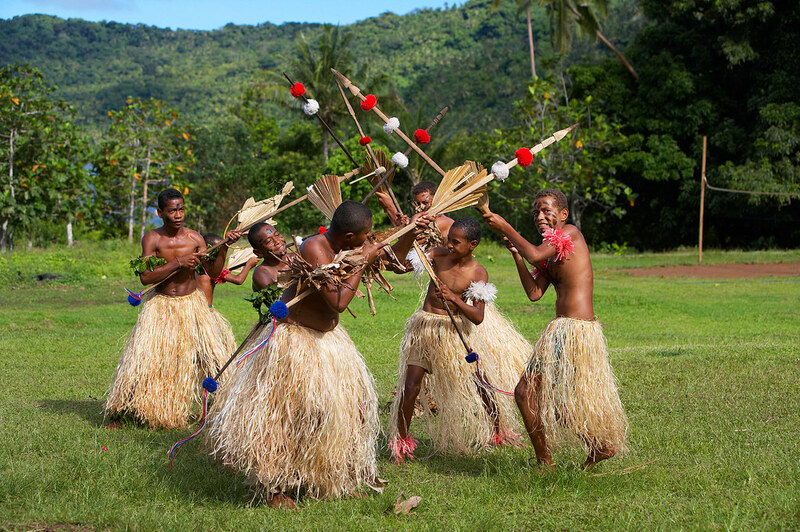 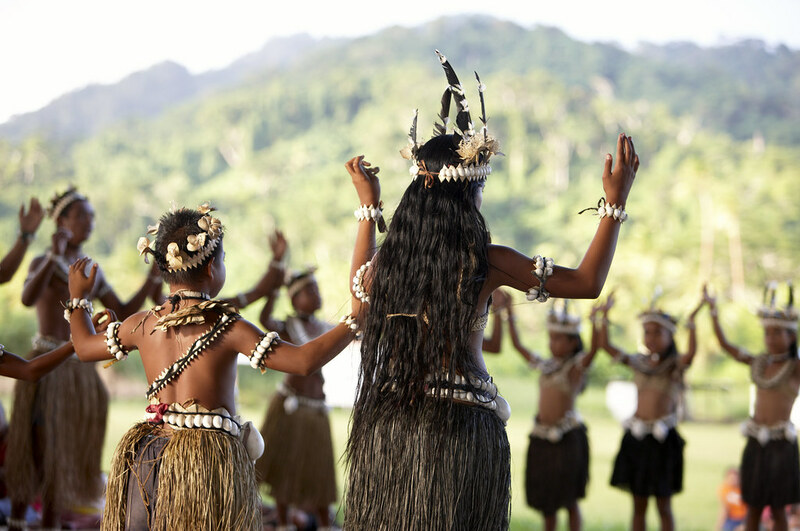 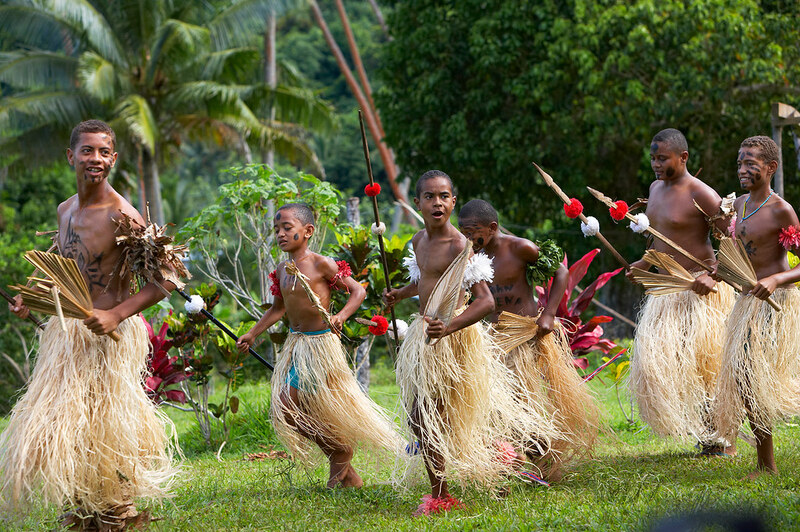 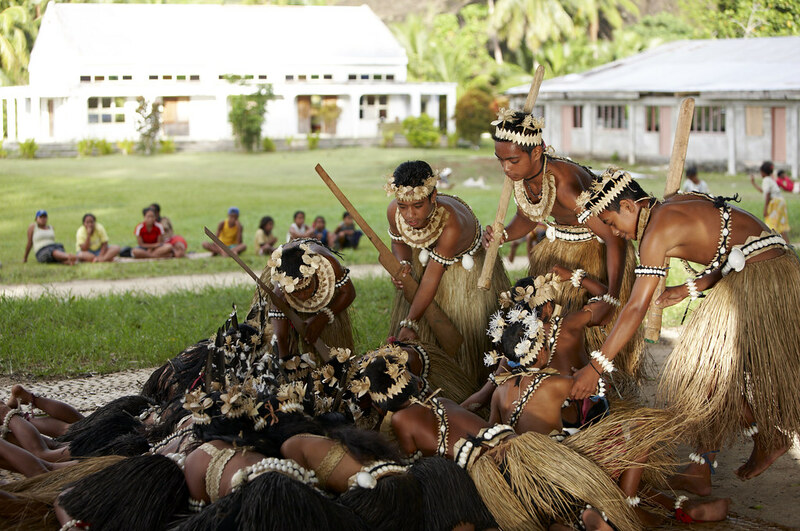 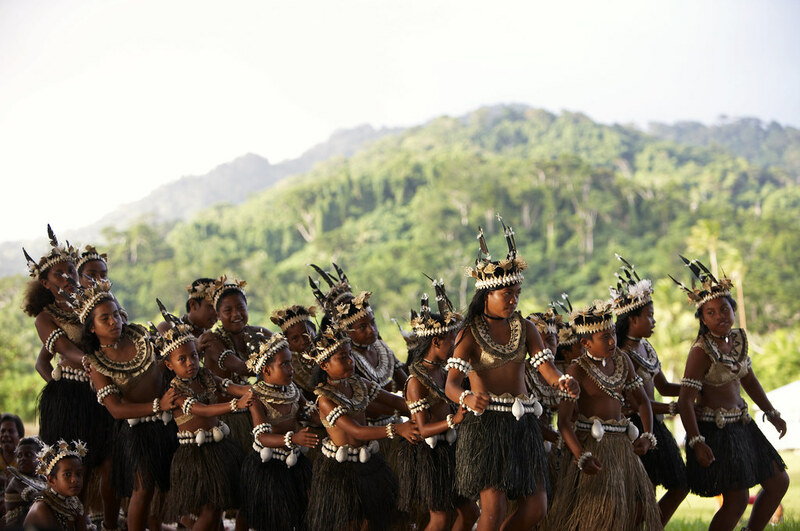 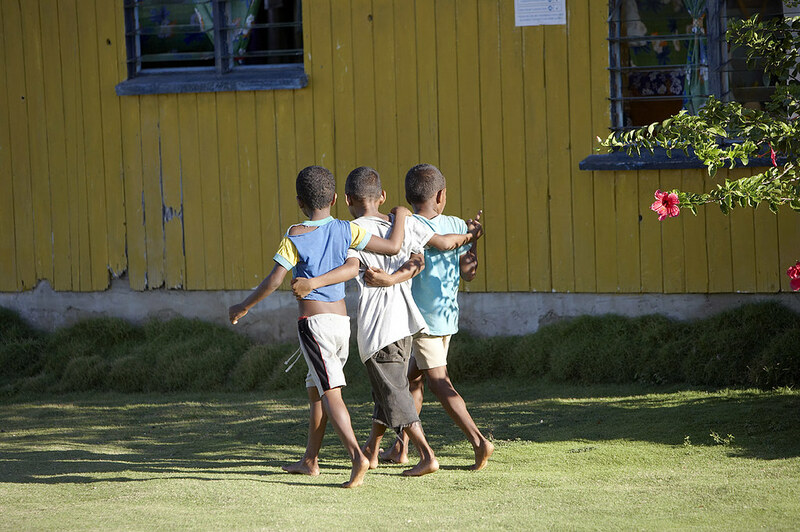 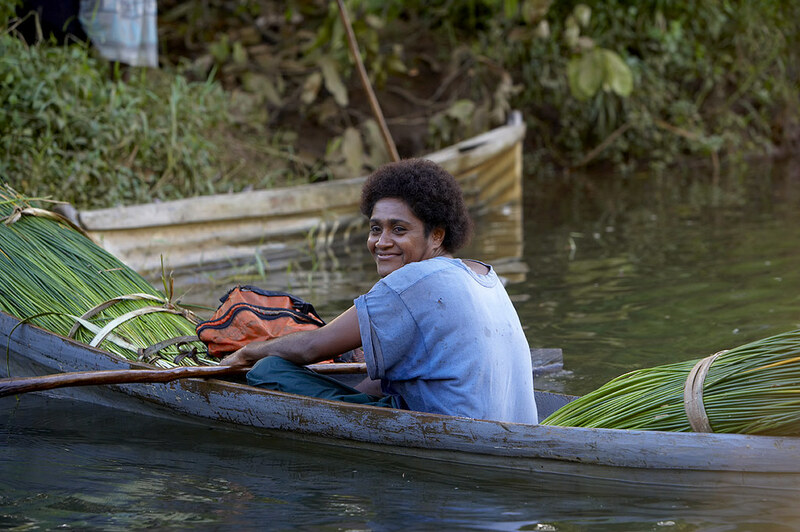 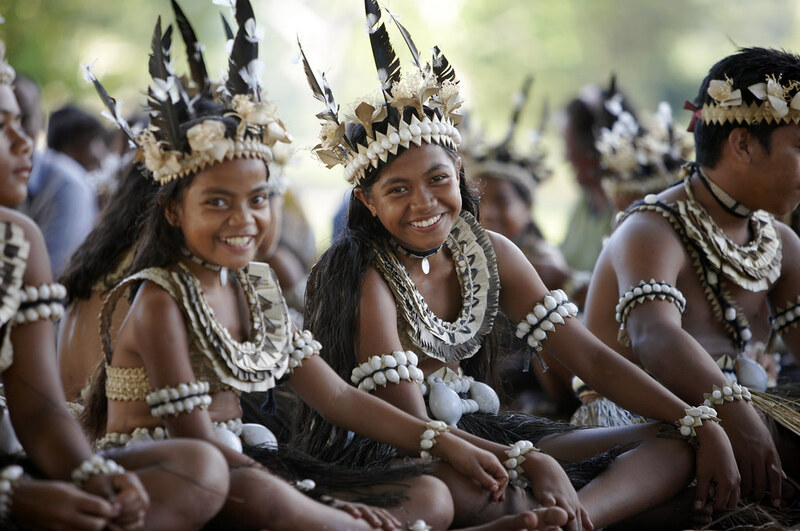 In the afternoon, visit the villagers of Wiwi and enjoy their Melanesian cultural performance.